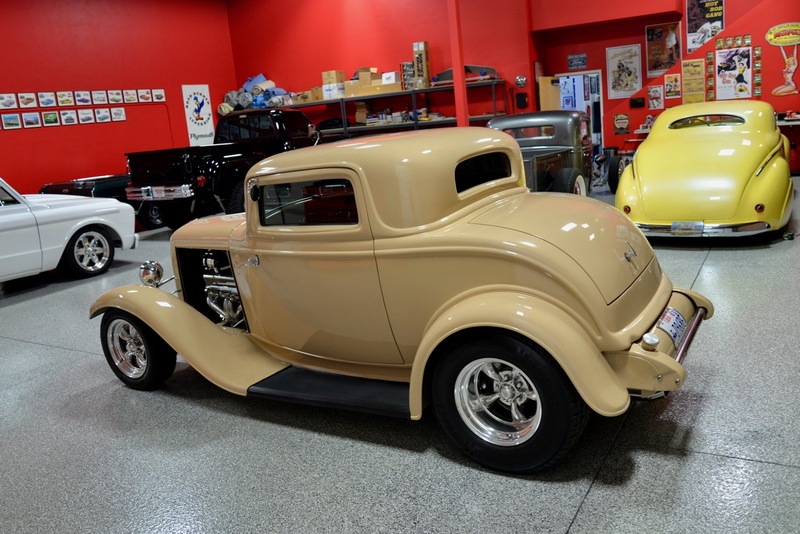 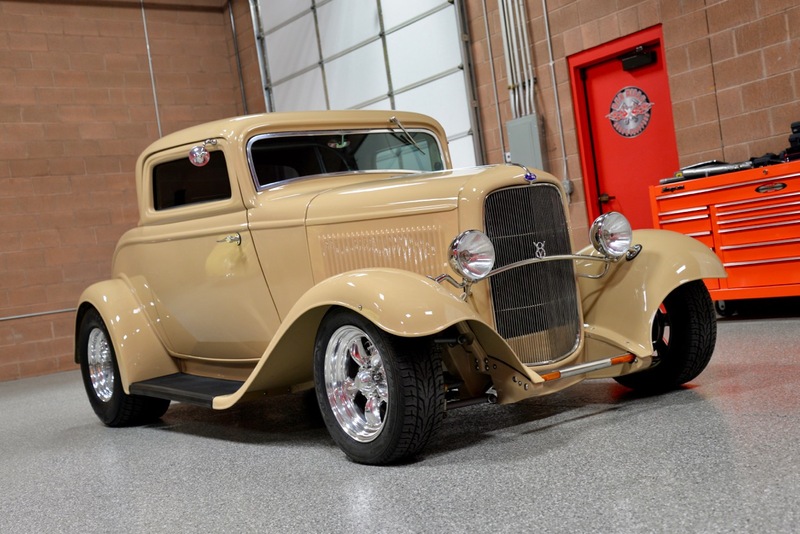 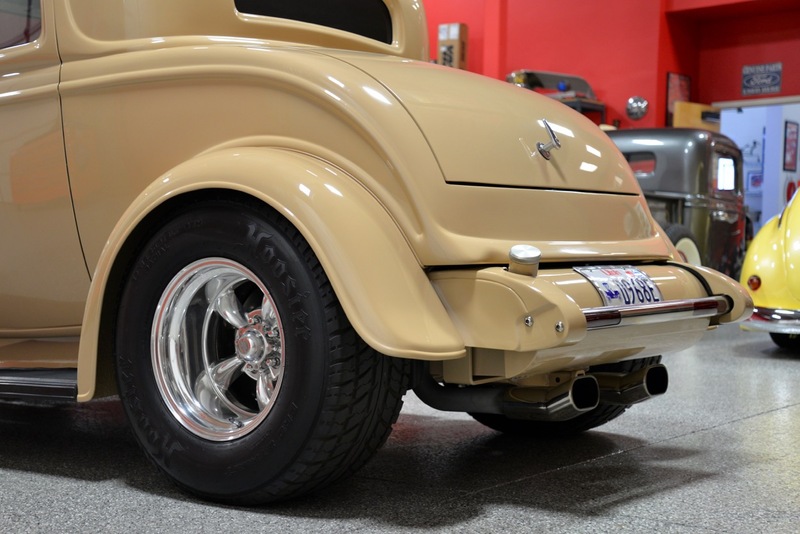 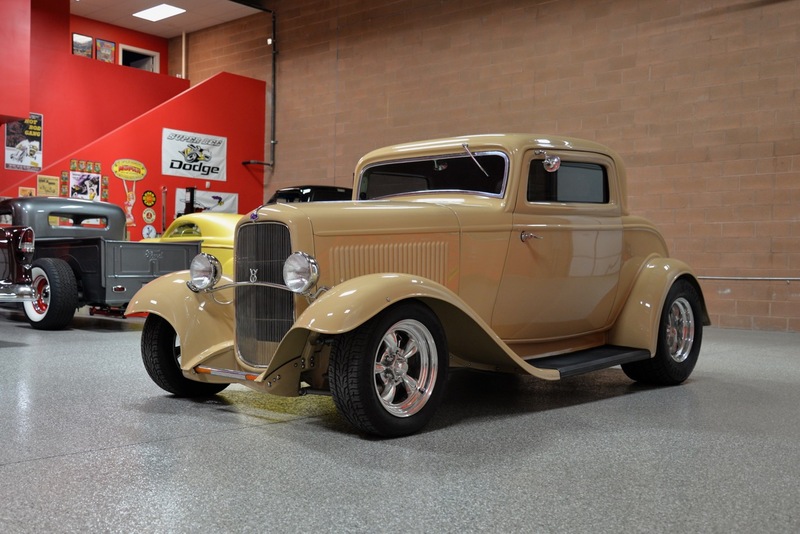 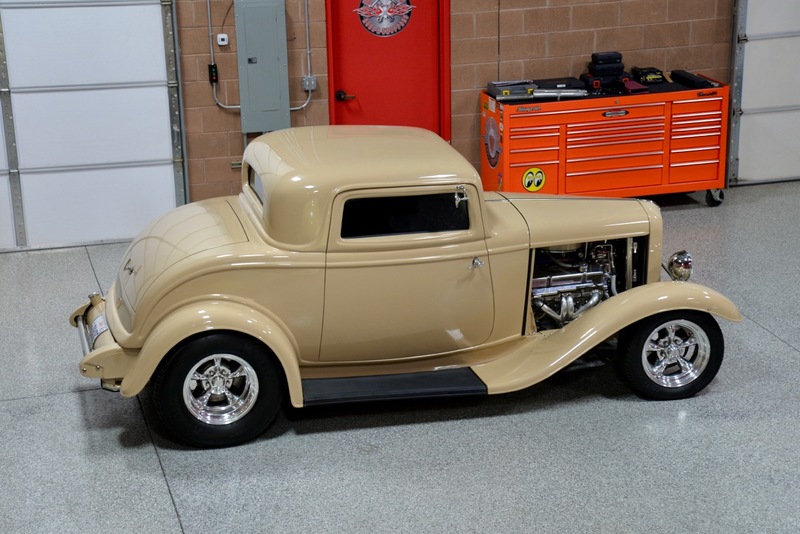 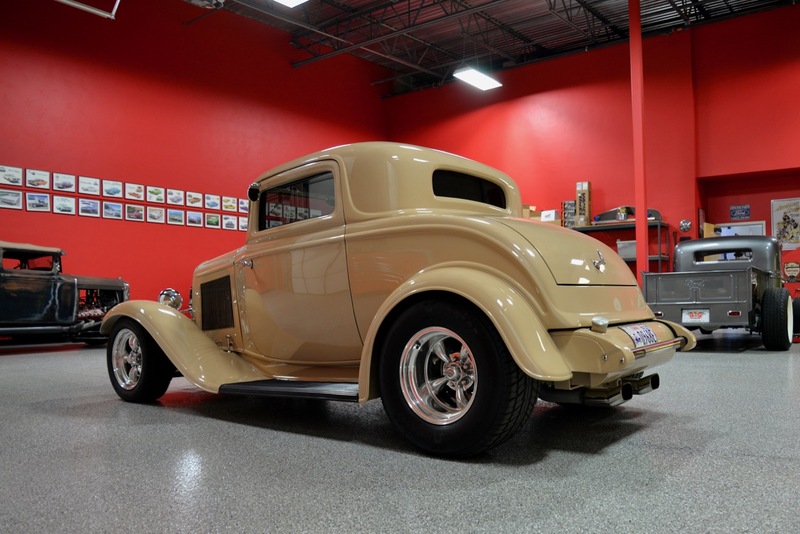 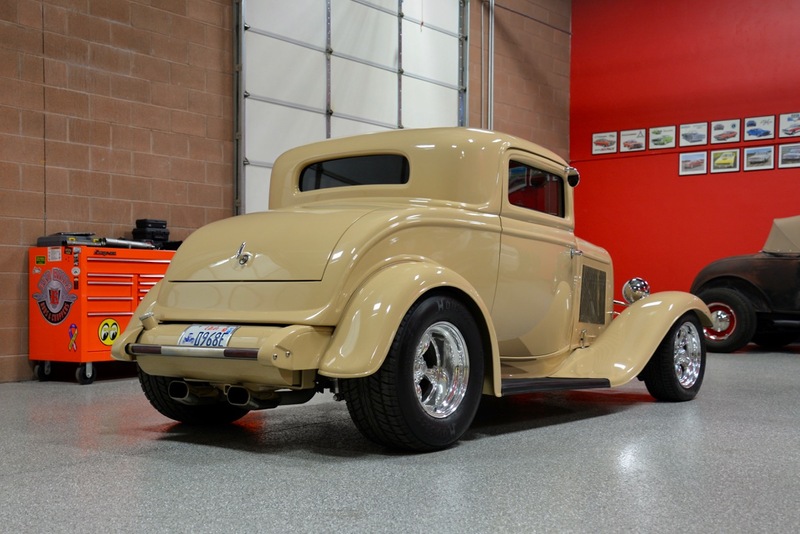 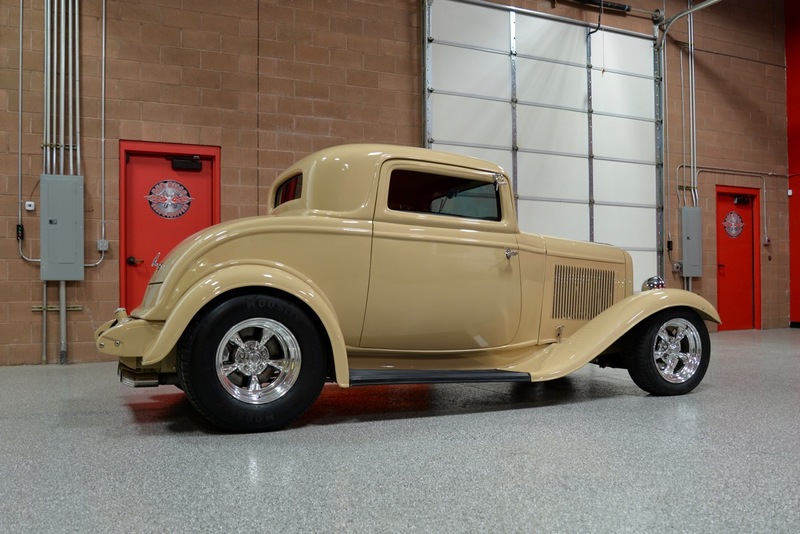 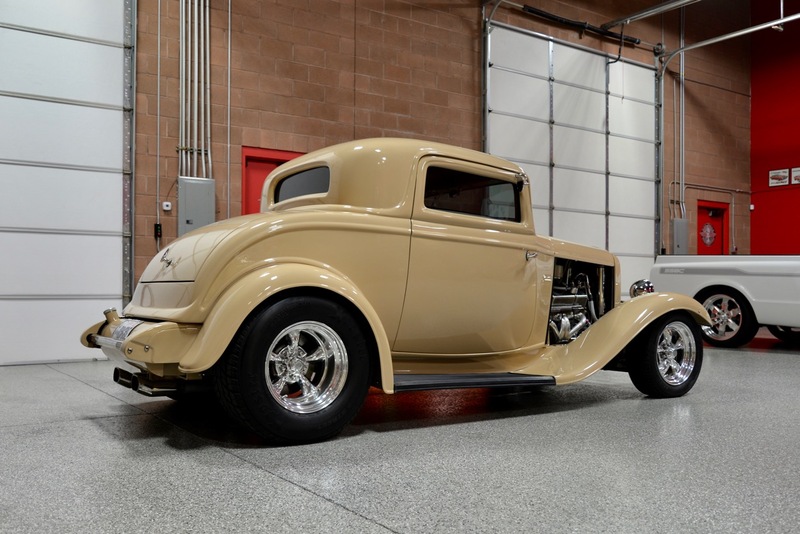 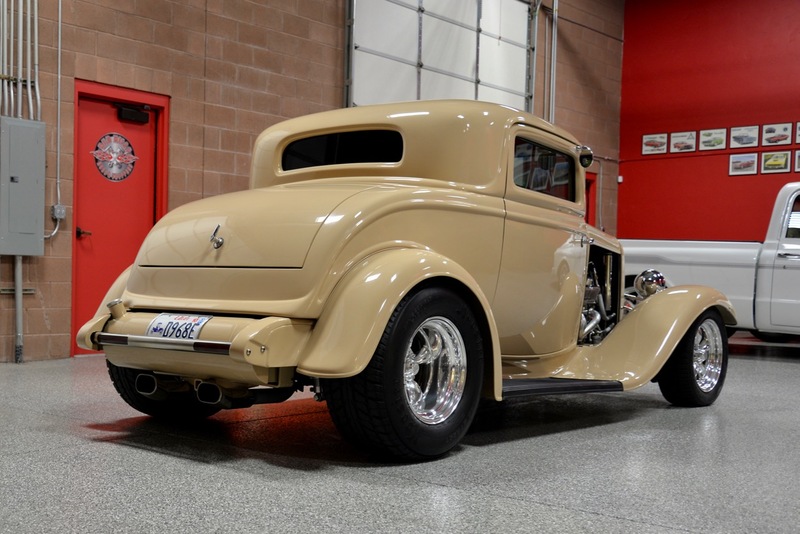 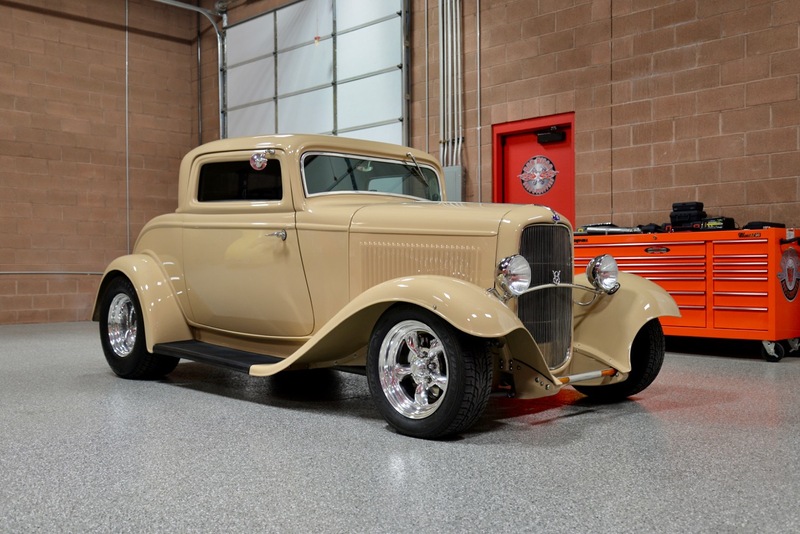 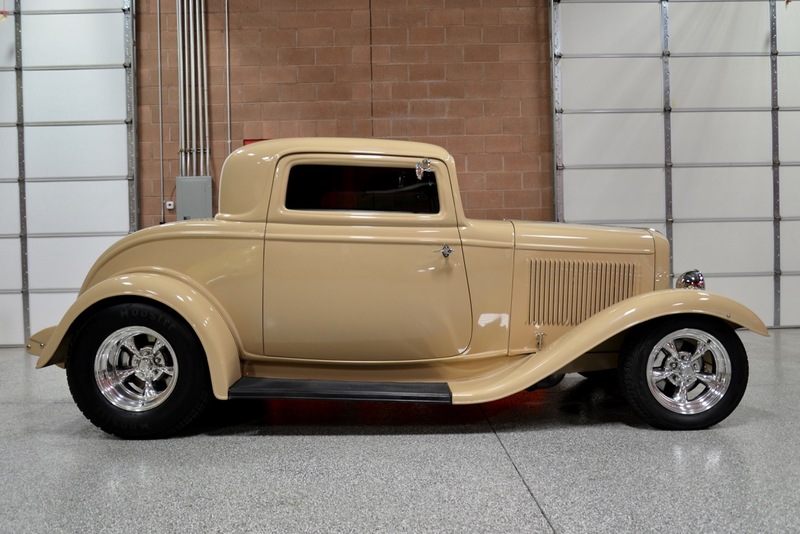 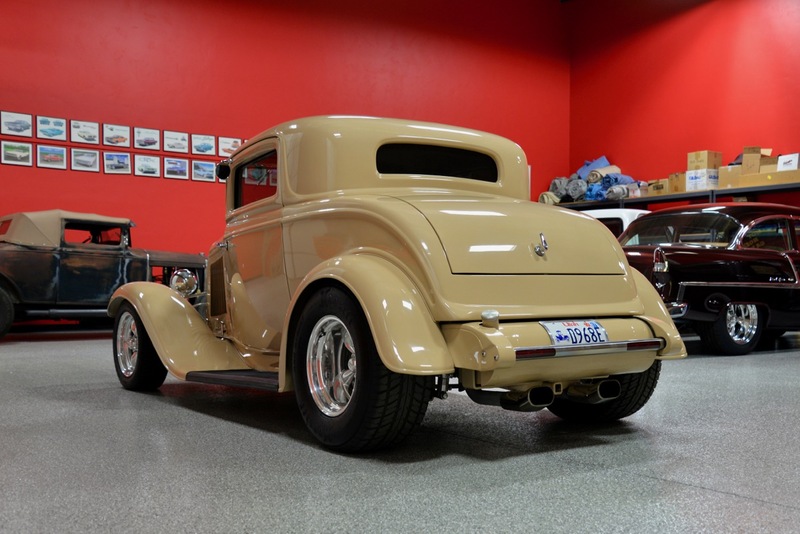 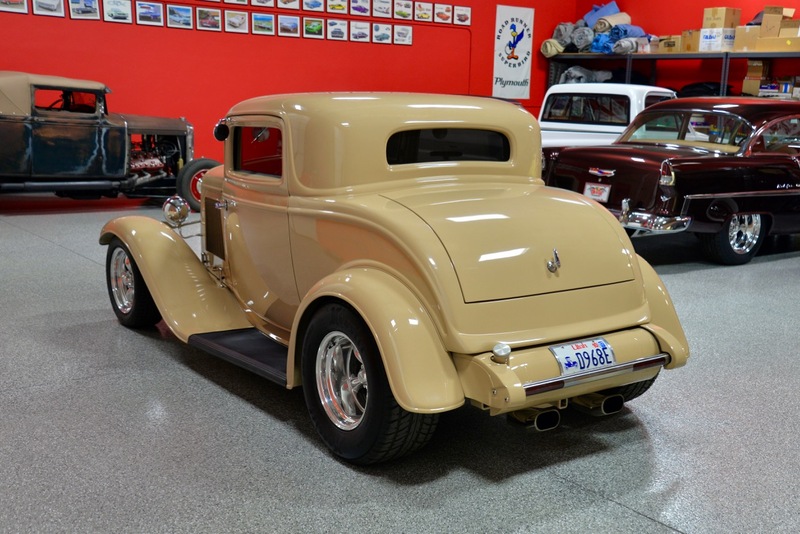 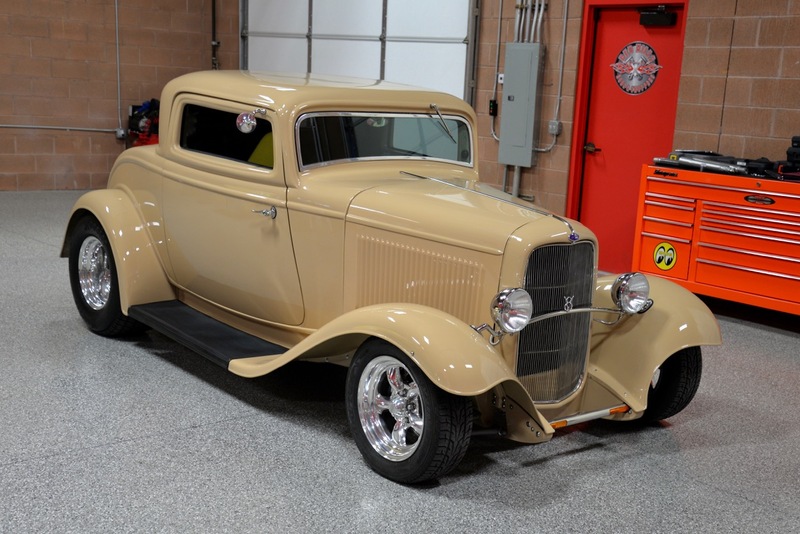 ‘Red Hills Rods & Classics’ is very happy to offer you this gorgeous 1932 Ford 3-Window Coupe Hot Rod, the recipient of a 10-year nut & bolt build that started in 2007, and completed in early 2017. 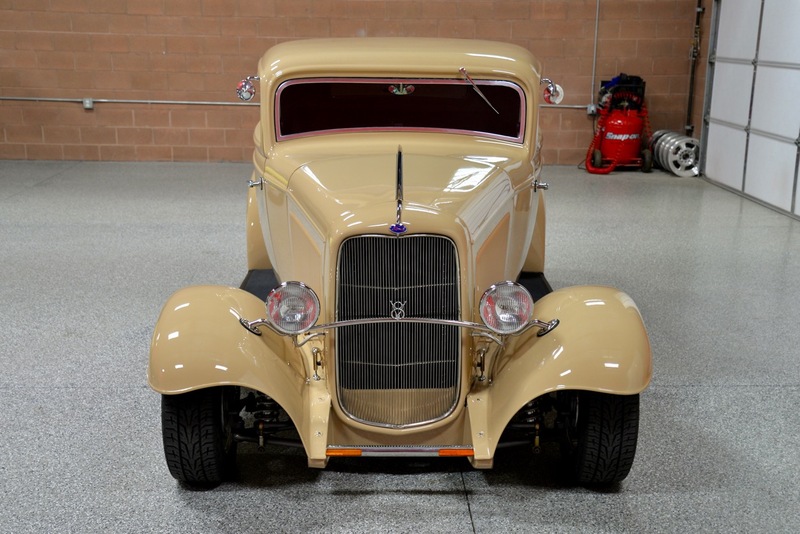 Countless hours were spent designing & planning to make sure that the Coupe not only looked amazing, but that its driveability & performance would match its good looks. 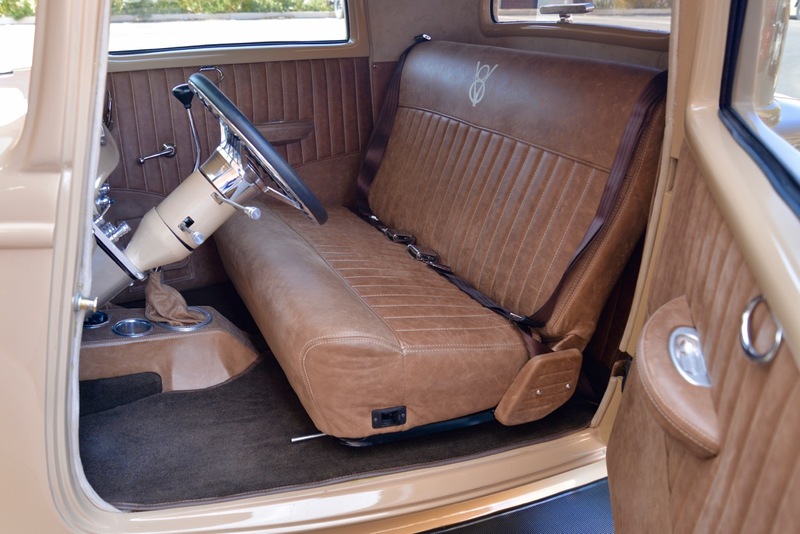 The final results are simply outstanding. 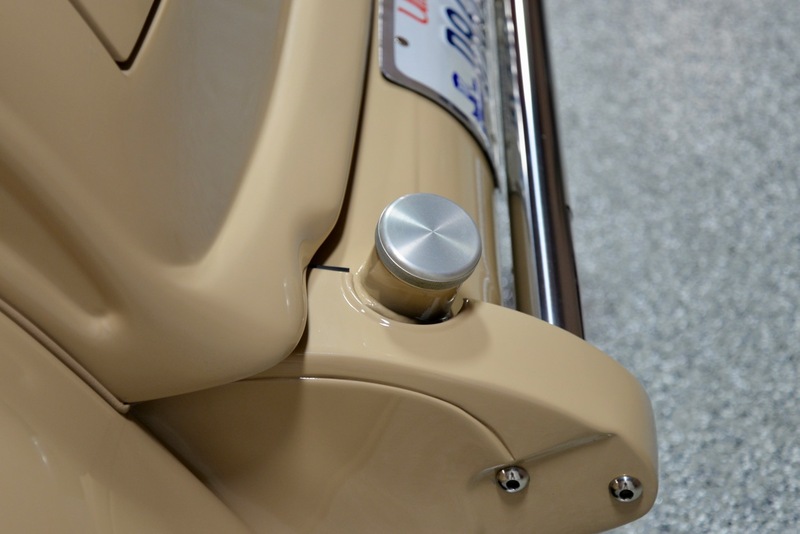 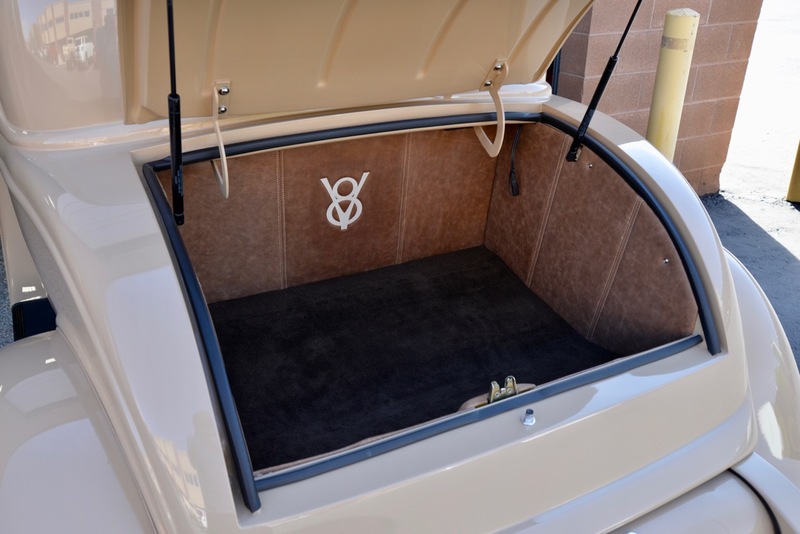 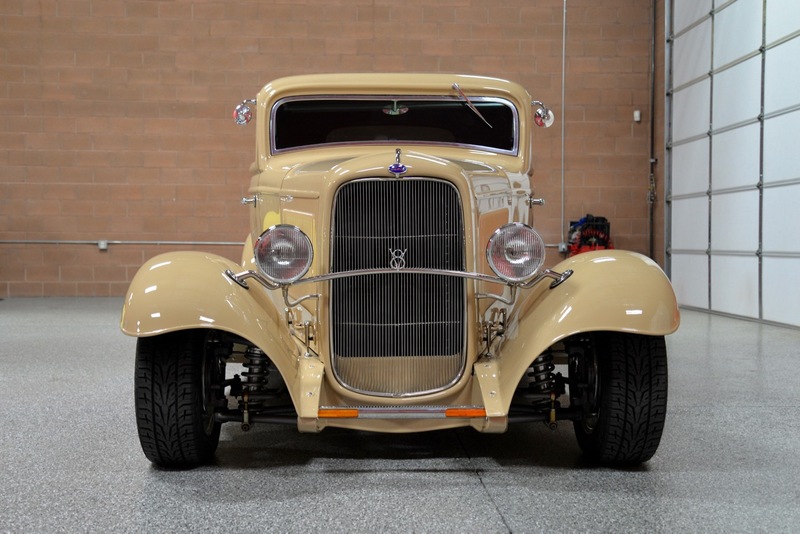 The build began w/ a new Kilbourne glass body w/ steel fenders, steel hood & steel grill. 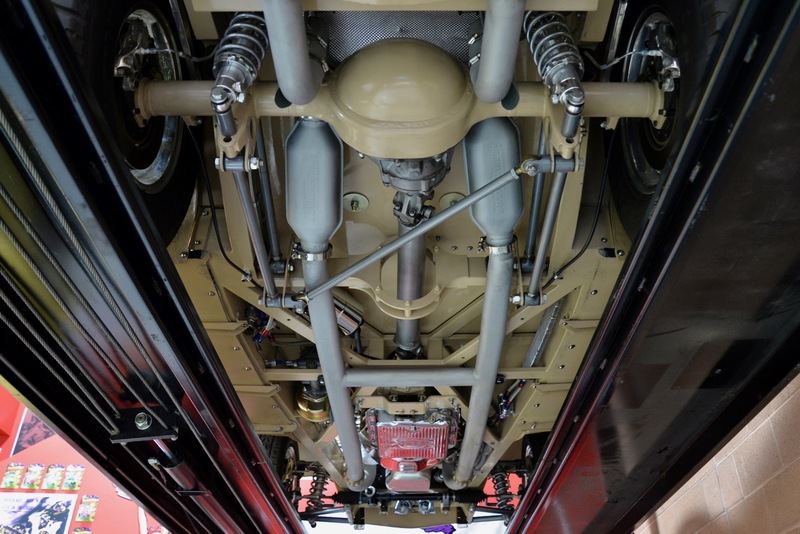 The assembly was performed slowly & methodically to ensure that all panels were lined up perfectly & that all gaps were precise. 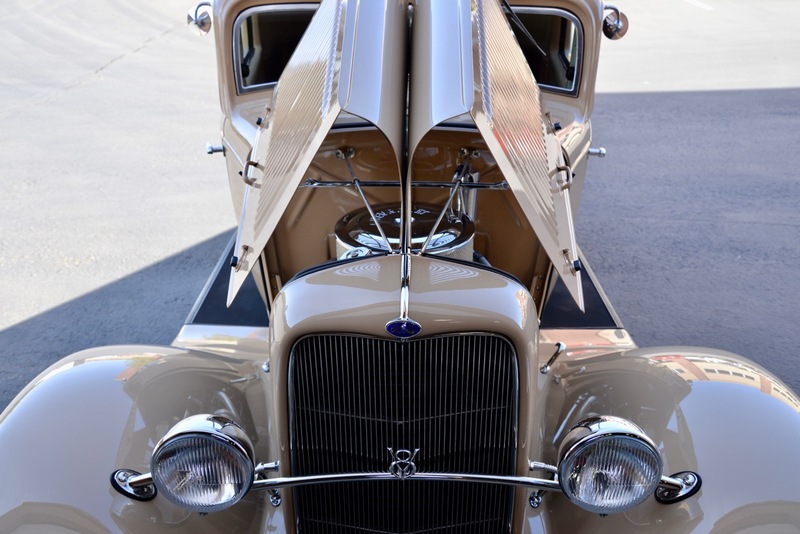 The car can be run both ways: w/ full hood & louvered side pieces, or the louvered sides can be removed for a sportier look. 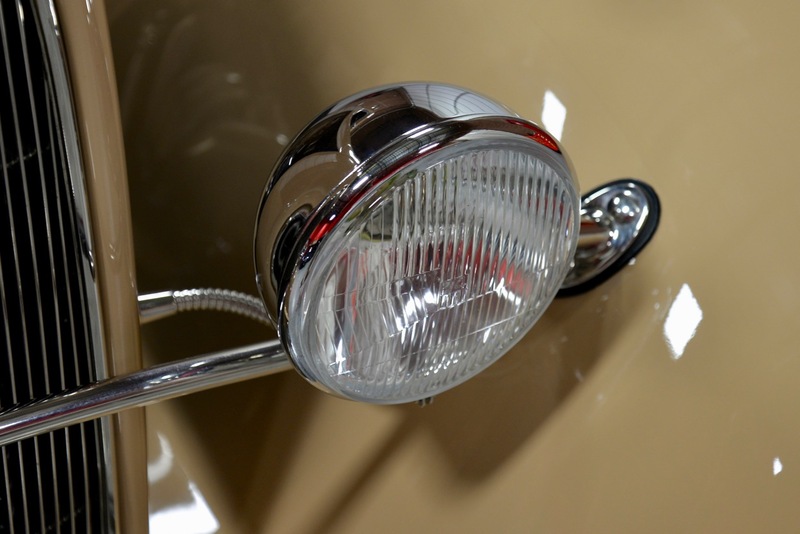 The chrome grill insert, dropped stainless steel headlight bar and other chromes items are in 100% show quality condition. 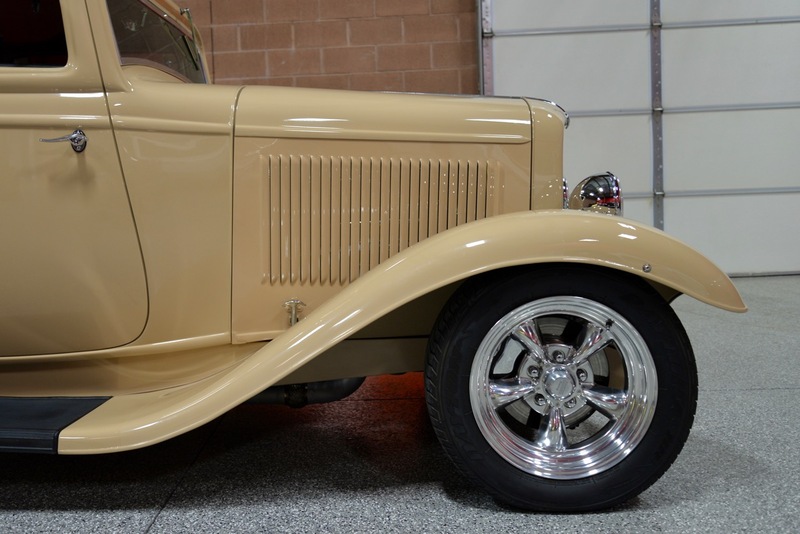 The body was then finished in a beautiful Caramel Apple clear-coat/base-coat paint that was polished & buffed to a mirror-like shine. 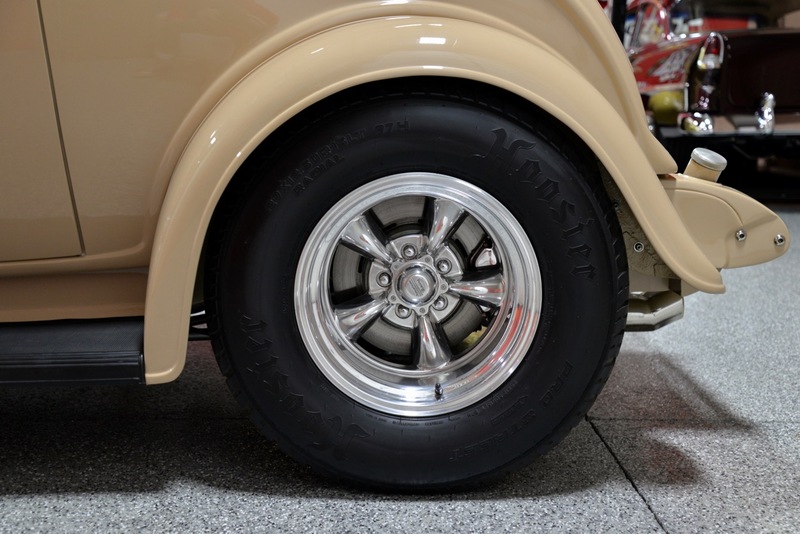 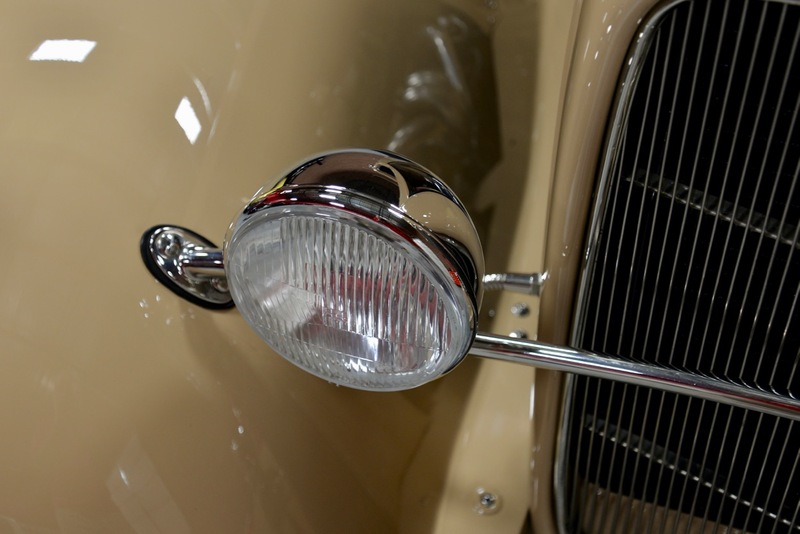 A Clear Bra protective wrap was applied over the front fenders, grille and door pillars, to prevent rock chips when you are out on the highway. 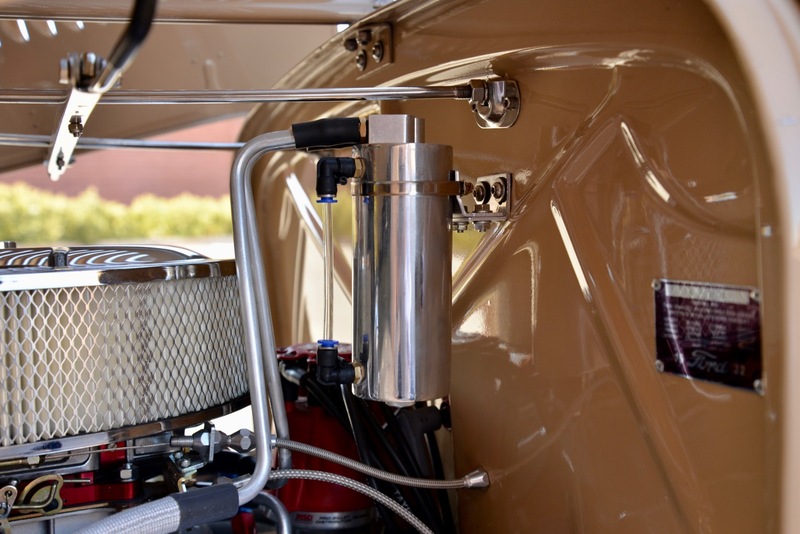 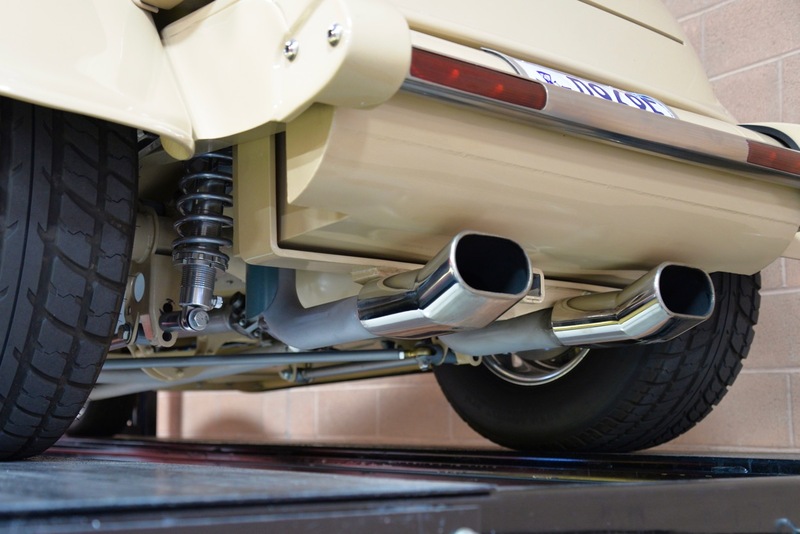 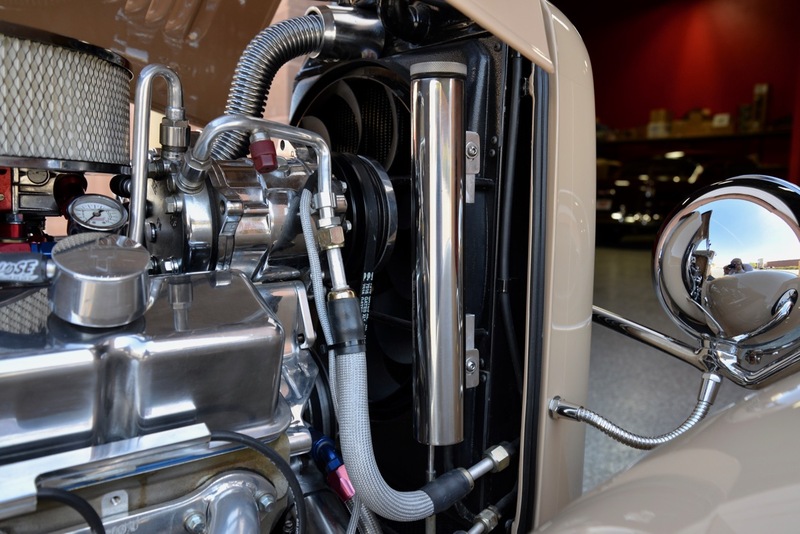 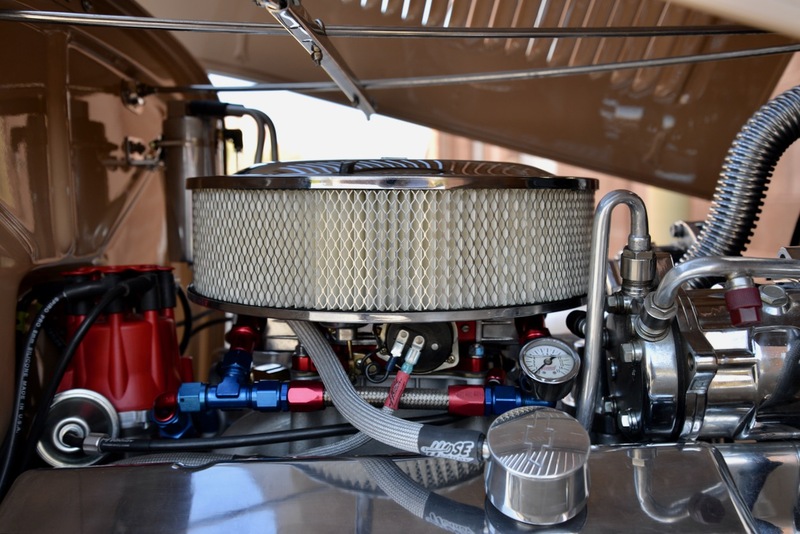 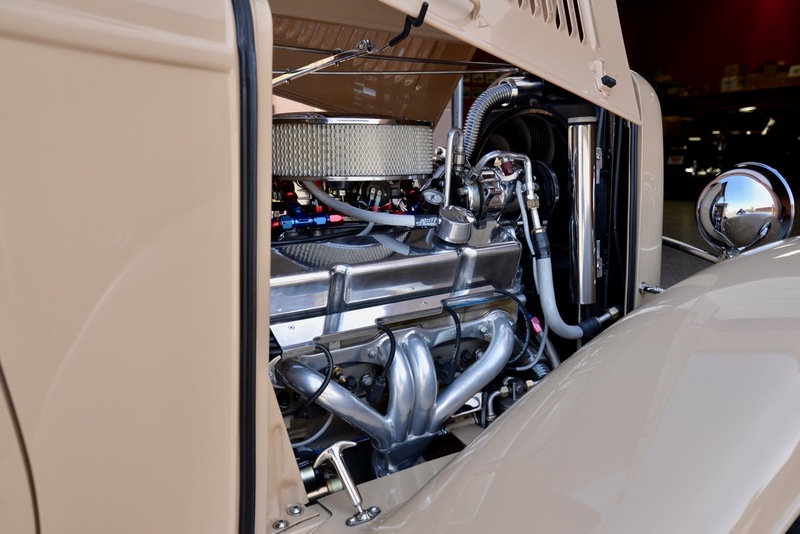 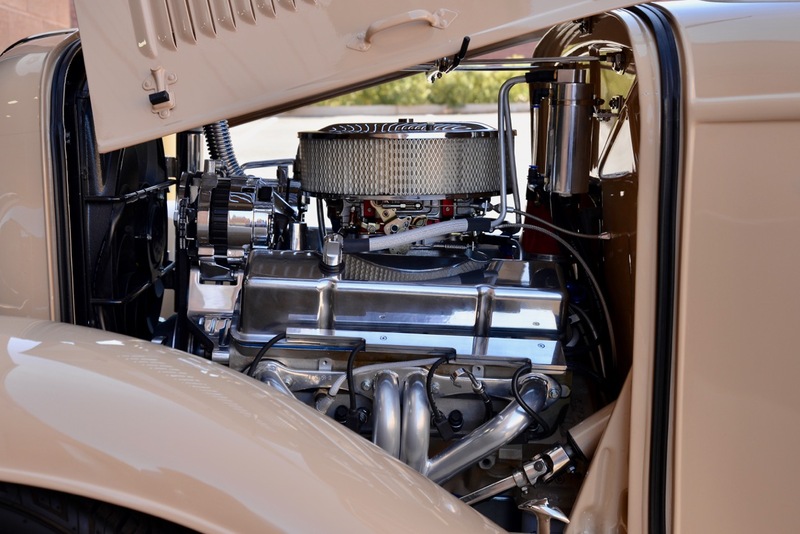 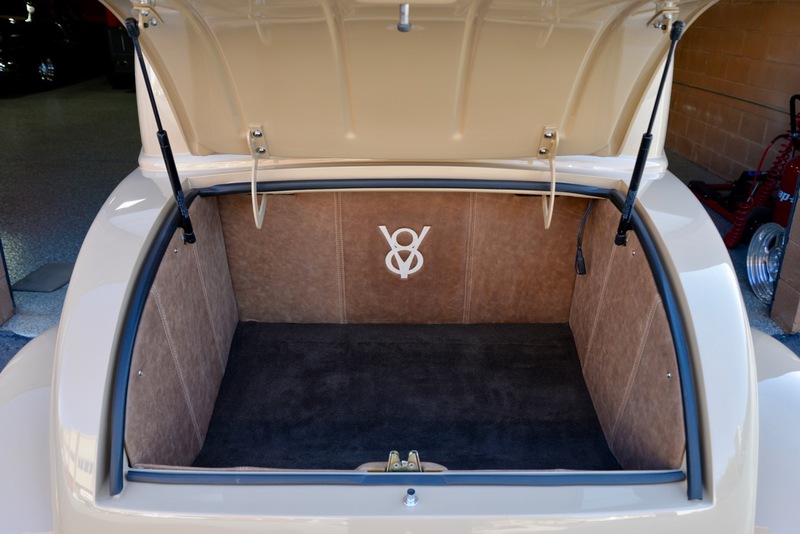 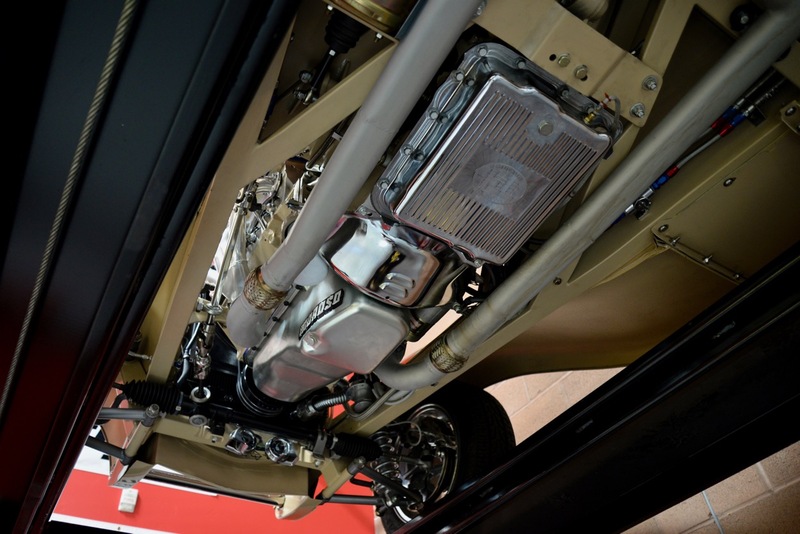 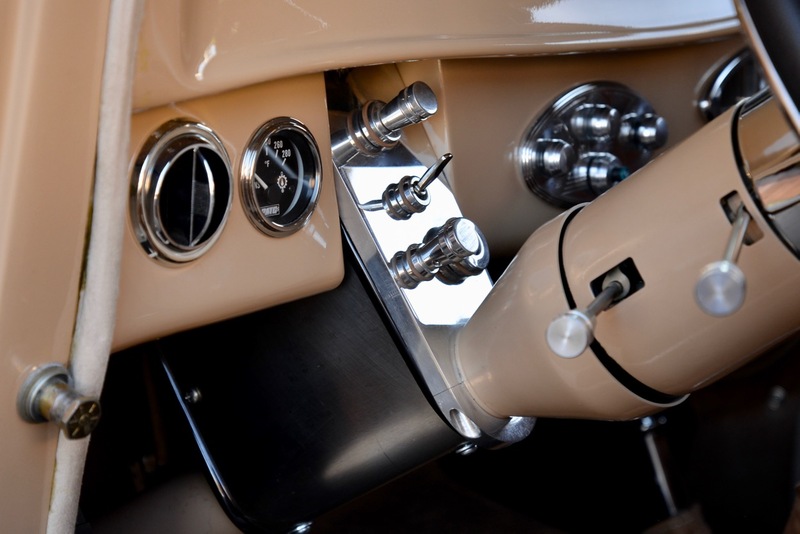 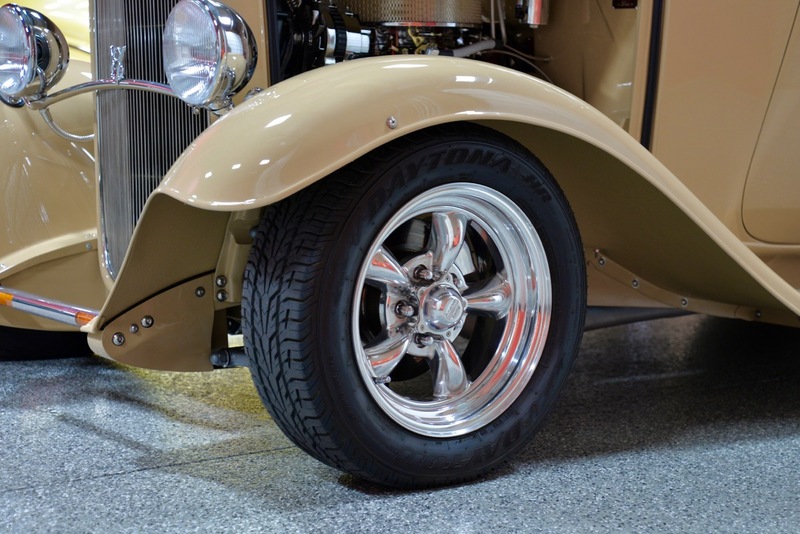 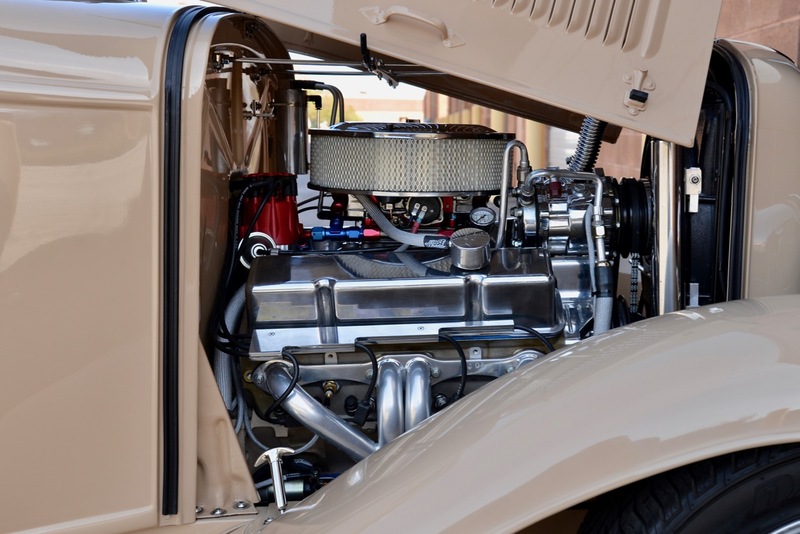 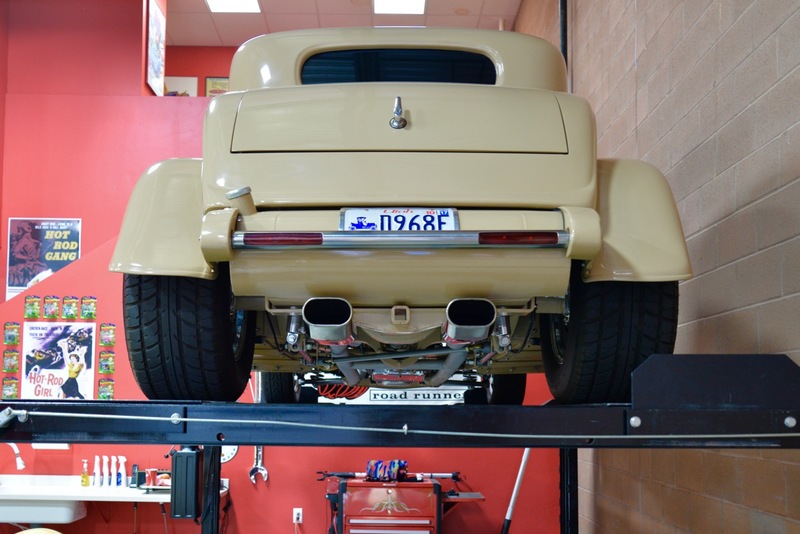 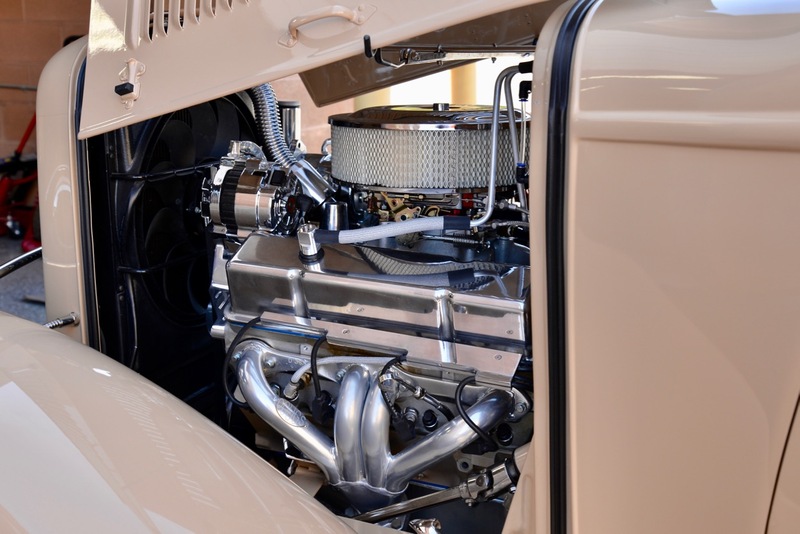 The body was then placed onto a new TCI Engineering 1932 Ford chassis, including a TCI 4-link set-up w/ diagonal bar, Viking Mustang II double-adjustable coil-overs, Wilwood 4-wheel disc brakes (w/ internal E-brake), Tanks 15-gallon stainless fuel cell w/ internal electric fuel pump & crash-sensor relay, AN-8 stainless lines throughout w/ hand-made aluminum 2-piece clamps, and on & on. 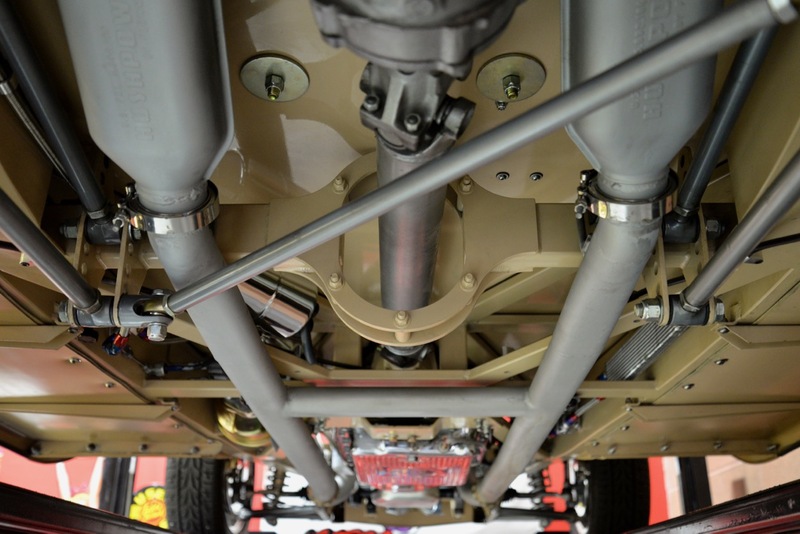 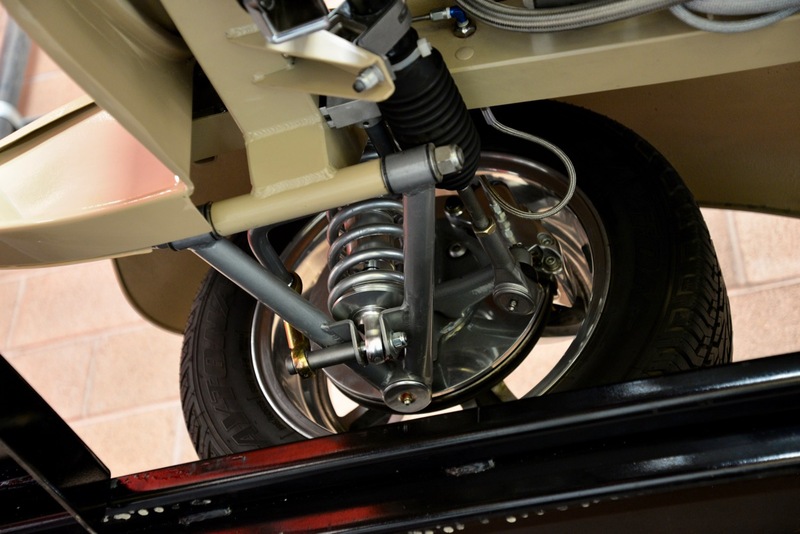 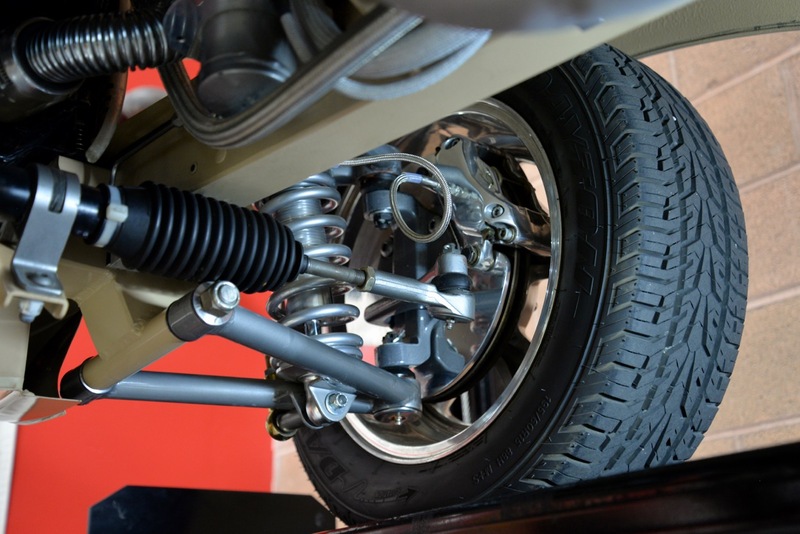 Please look closely at the undercarriage photos to see how nicely everything was done. 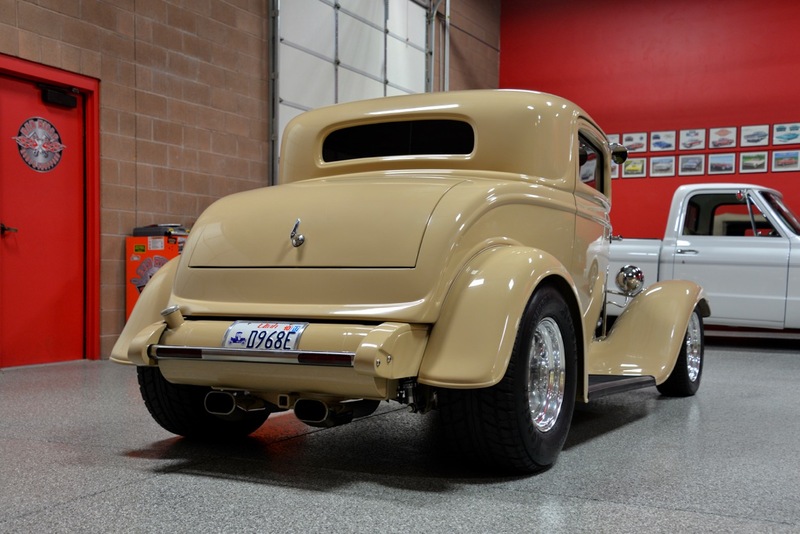 This Coupe has a perfect stance, sitting on 15” American Racing Wheels wrapped w/ fat Hoosier radial tires (29x12.50xR15LT on the rear & 195/60/R15 up front). 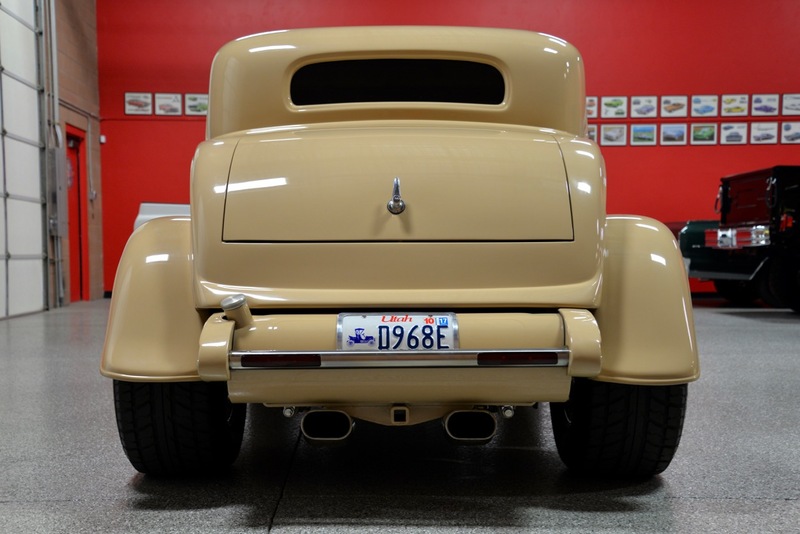 You can walk around this Coupe a hundred times and you will not find a bad angle. 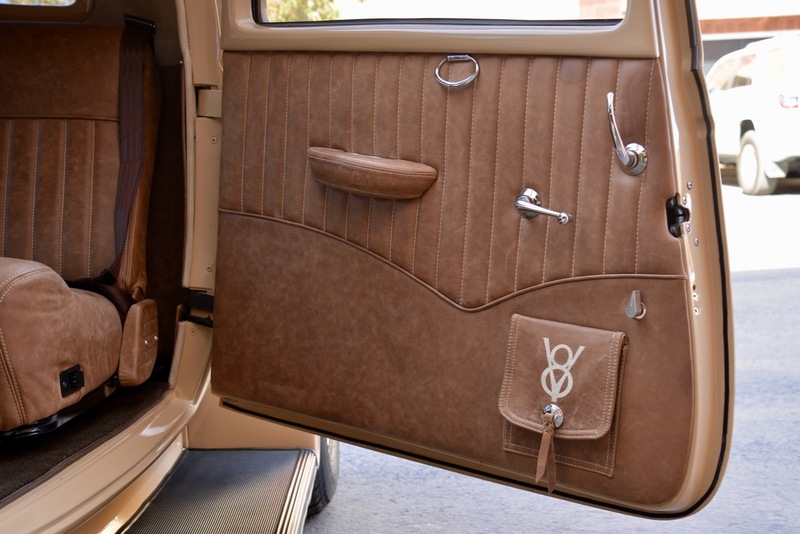 Open the suicide doors and you will find a beautiful custom distressed tan leather interior featuring: faux-suede headliner, body-colored dash w/ full set of So-Cal Speedshop gauges (w/ additional transmission temperature gauge), Ididit tilt steering column, wrapped billet banjo steering wheel, 16” Lokar shifter, power-windows, Vintage Air Conditioning, billet AC vents, Sony MEX-XB100BT Single DIN Hi-Power Bluetooth In-Dash CD/AM/FM/Sirius XM Ready Sound System, Kicker 400-watt amplifier, (2) 6” OZ Audio Subwoofers, (2) 6” Polk Audio speakers in kick panels, (2) 2” Polk Audio tweeters on door pillars, Ron Francis wiring throughout, seat-belts w/ shoulder harnesses, mocha cut-pile carpeting, and suicide door locks. 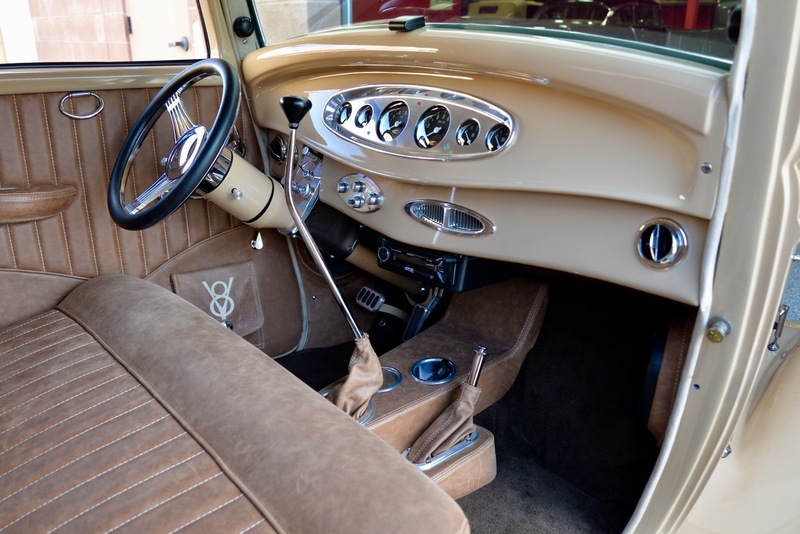 All of the gauges, lights, blinkers, sound system, AC, everything is in perfect working condition throughout. 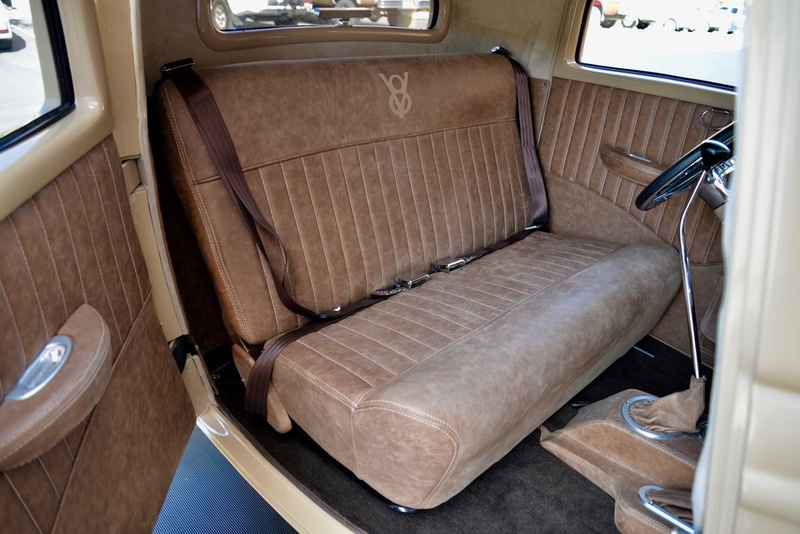 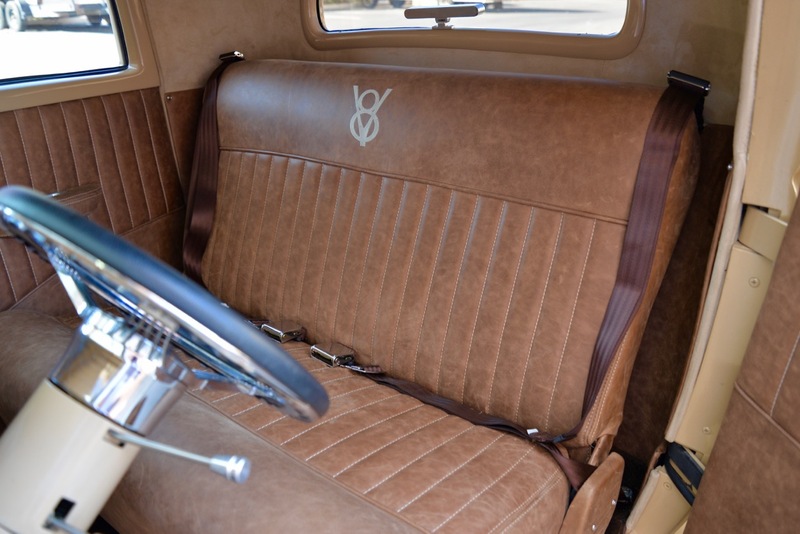 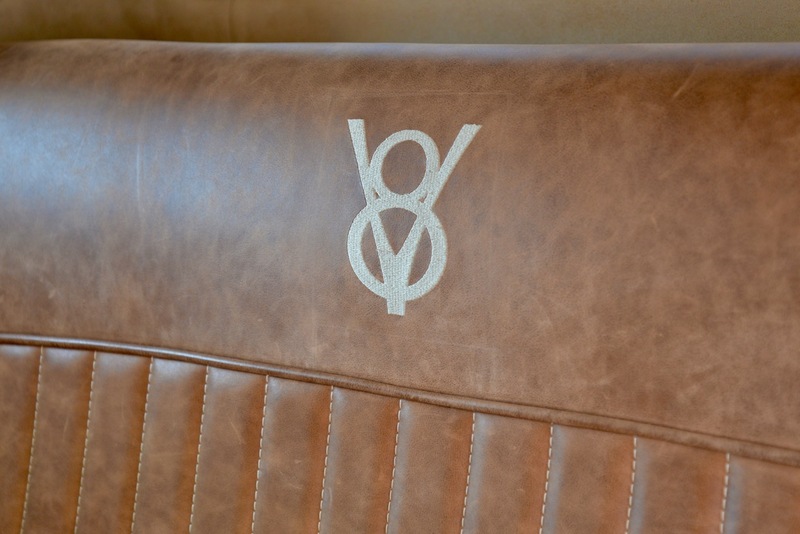 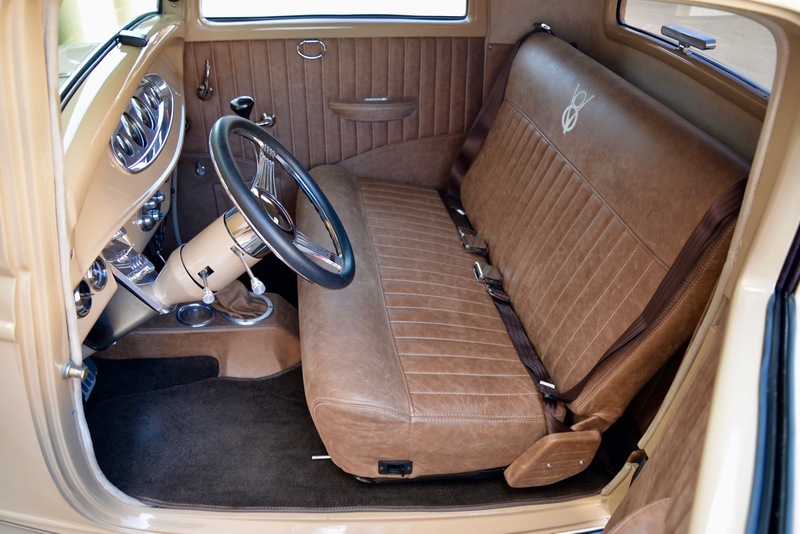 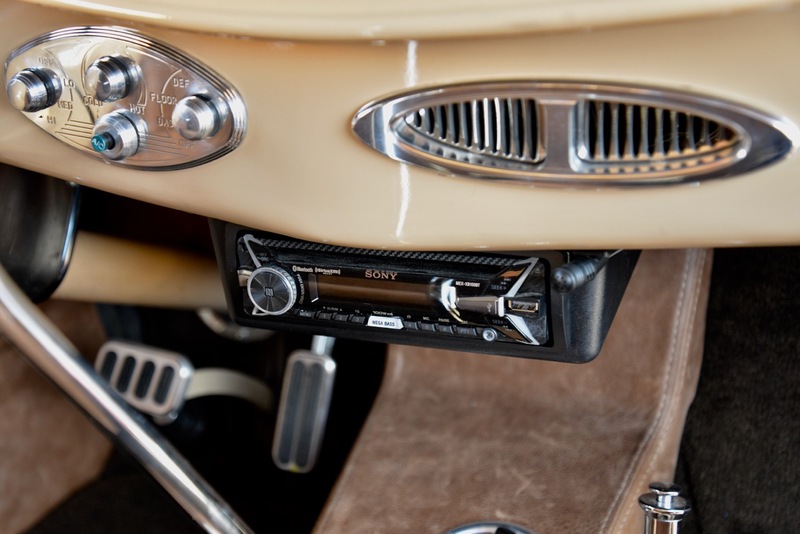 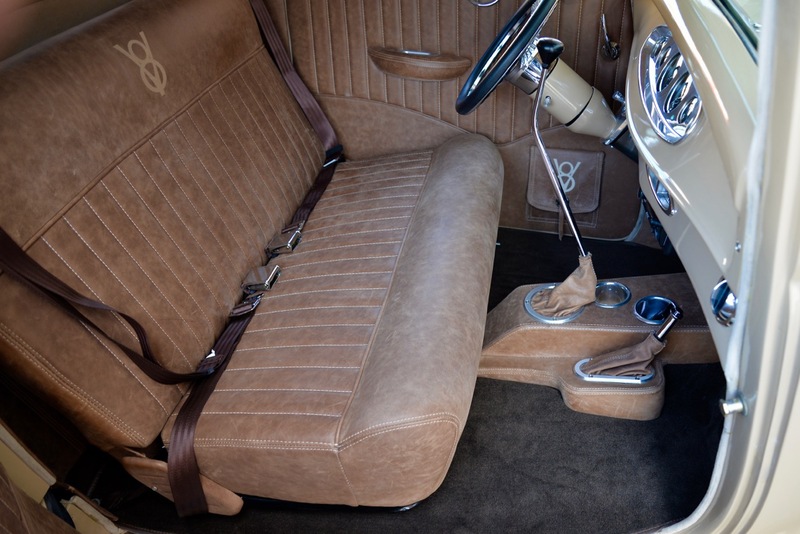 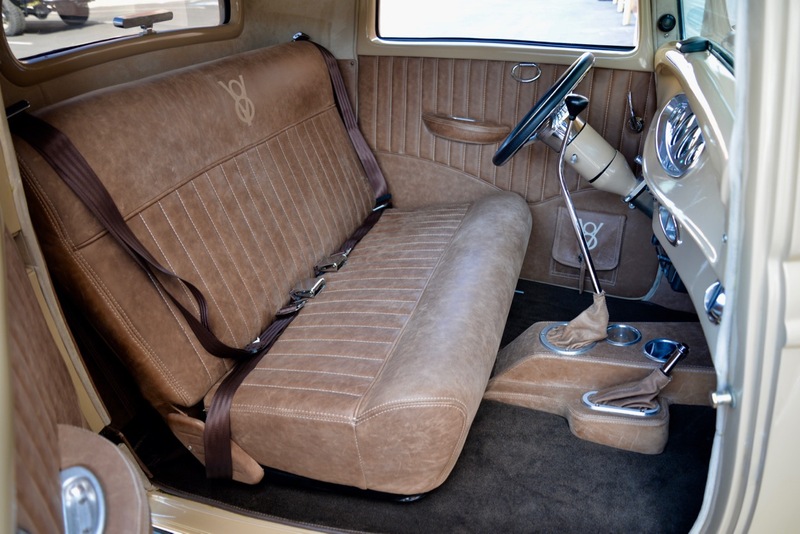 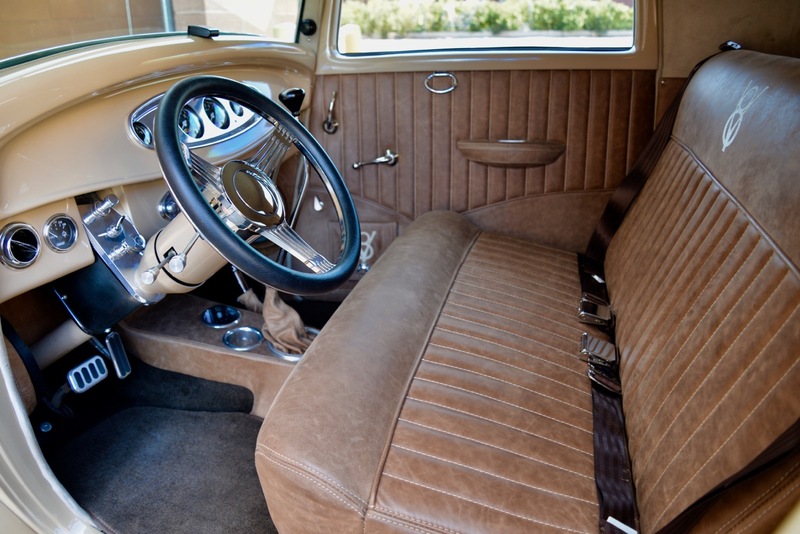 This interior is extremely comfortable, highly functional in every way, and absolutely beautiful as well. 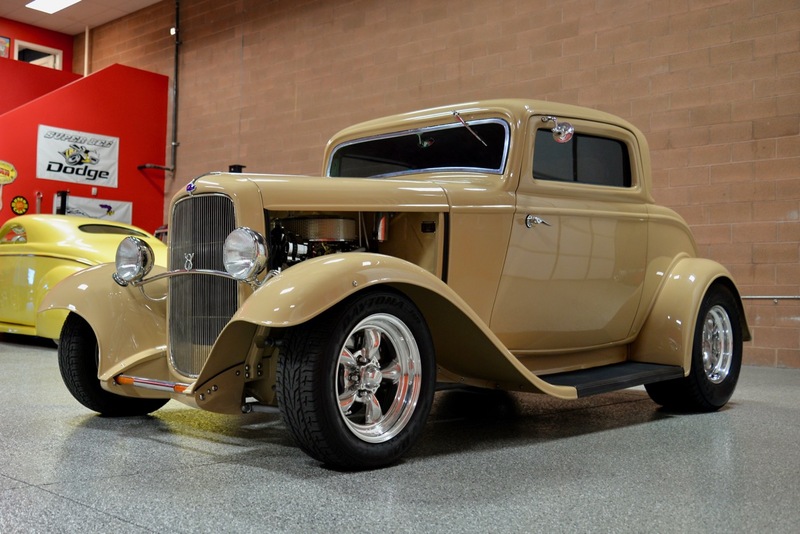 Now, let’s get to the heart of this Hot Rod, shall we? 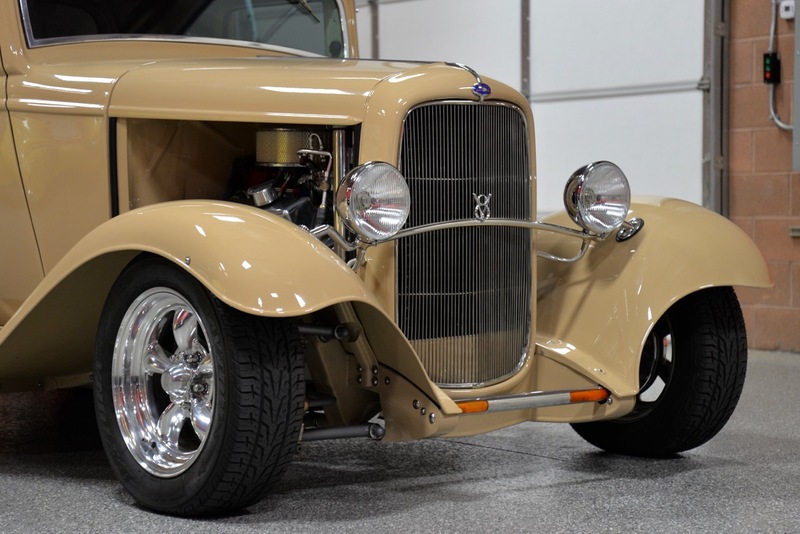 Powering this mean Deuce Coupe is a 383ci balanced & blueprinted Stroker motor featuring: Patriot Performance aluminum heads, roller cam, roller rockers, Edelbrock Performer Air-Gap intake manifold, Quick Fuel Technology 780cfm carburetor, MSD HEI distributor, Wagner Performance dual-flow adjustable Positive Crankcase Ventilation (PCV), Doug’s Shorty Headers connected to a 2.5” oval exhaust system w/ 12” Flowmaster cool shell mufflers & V-band connectors, and a Walker radiator w/ cooling component electric fan (all AN-8 stainless lines). 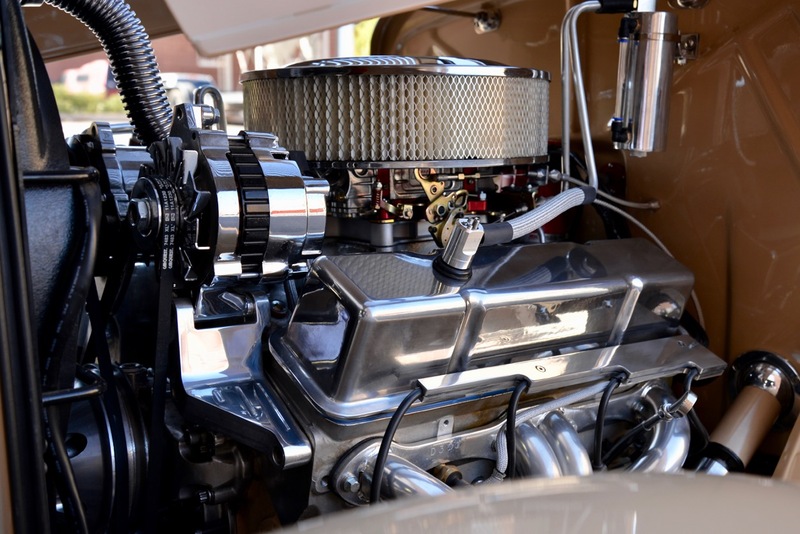 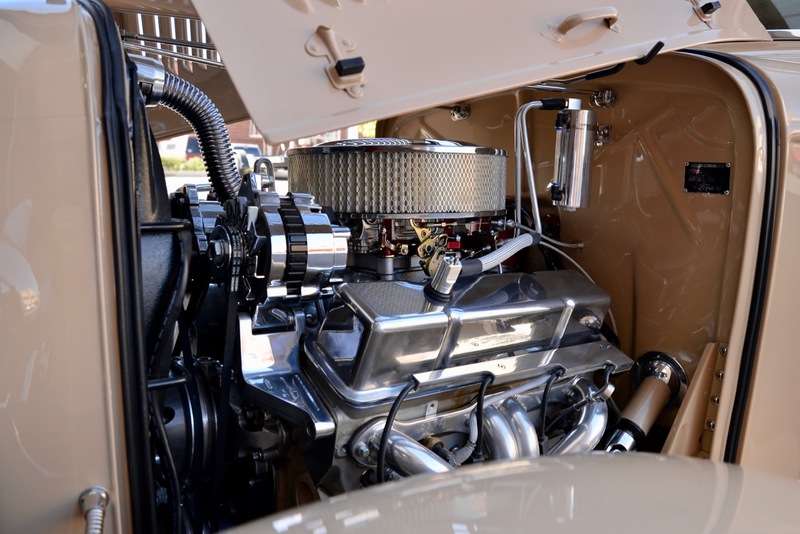 This 383 Stroker was dynoed @ 460hp w/ 500 Lbs/Ft. 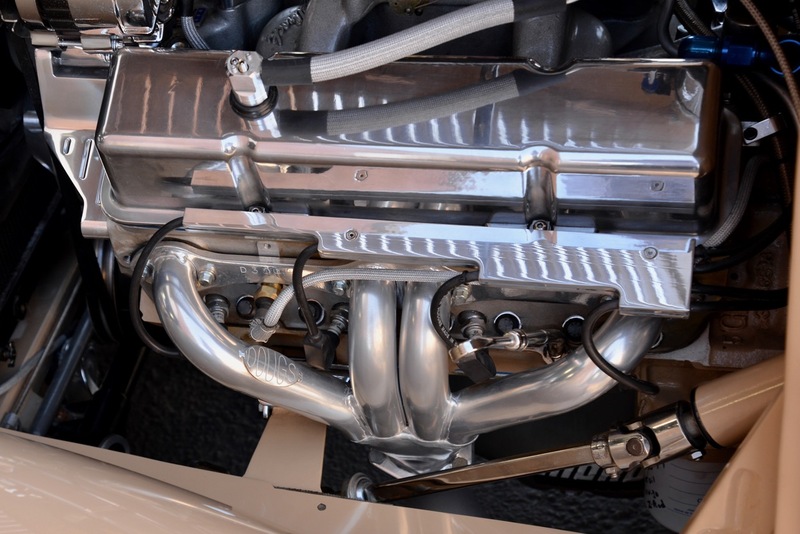 Torque, which will certainly get your heart pumping in a hurry! 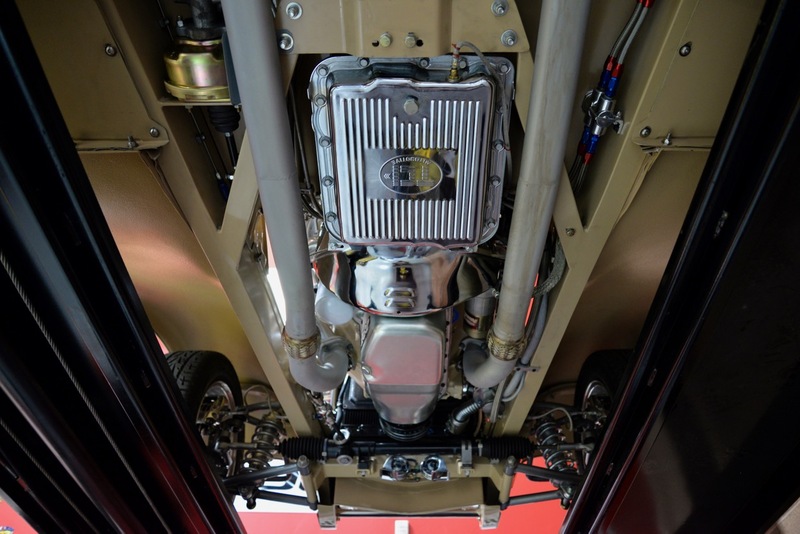 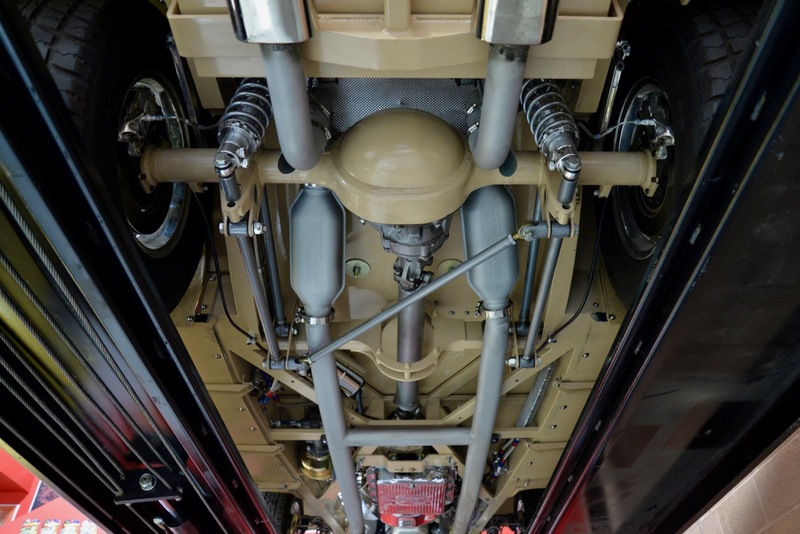 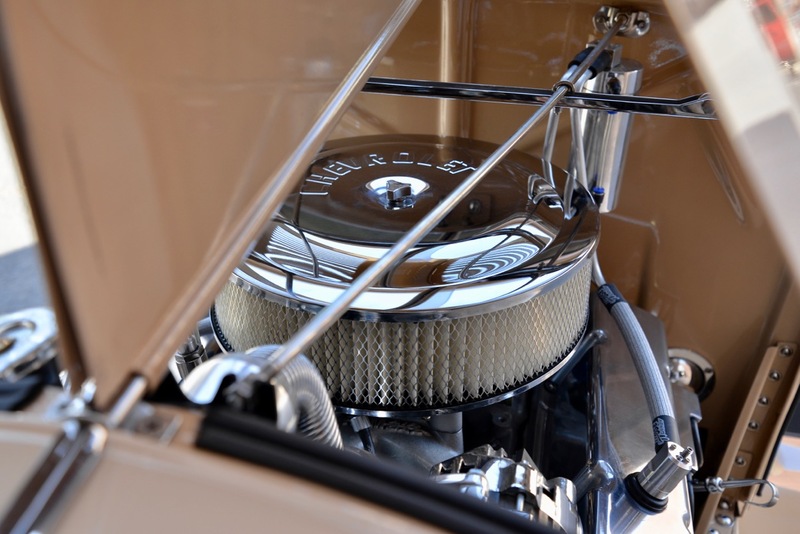 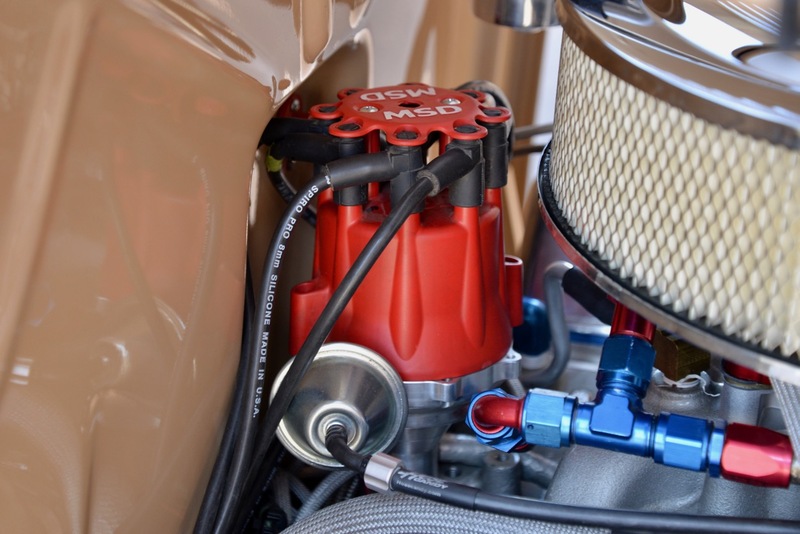 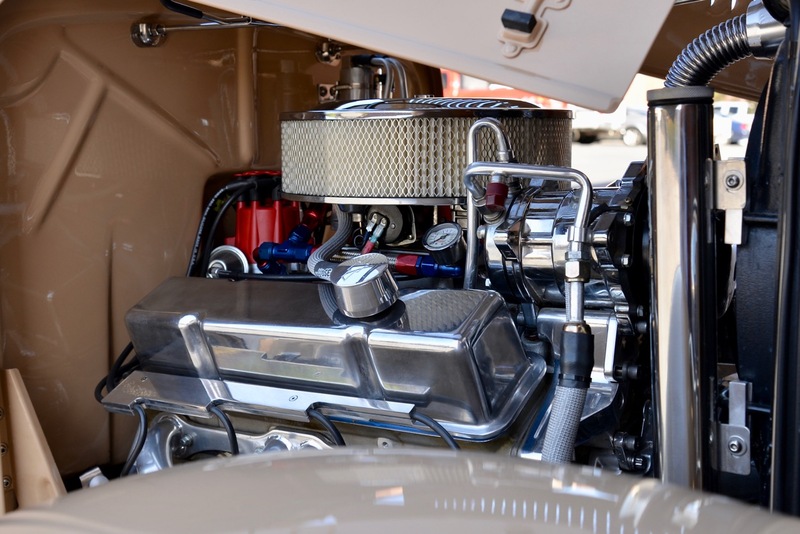 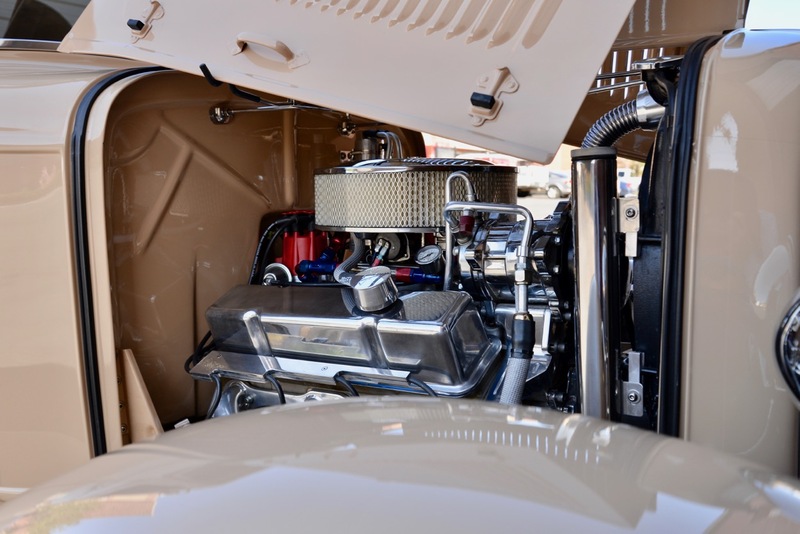 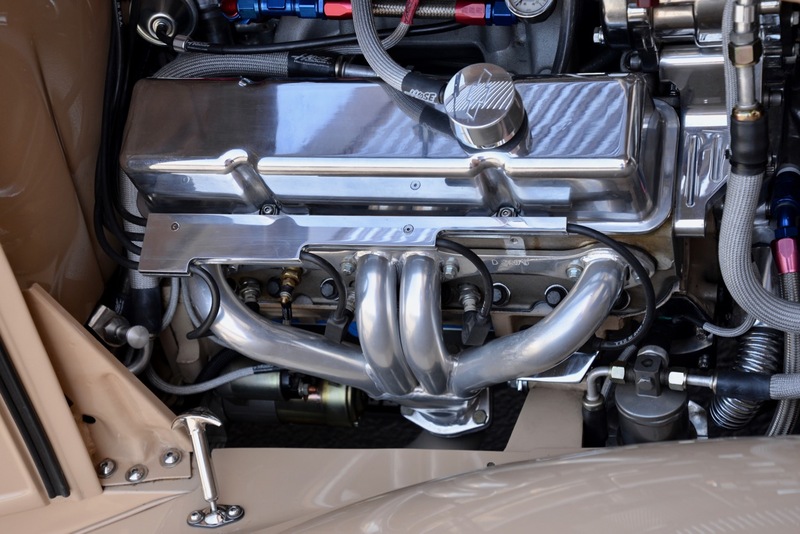 The motor is linked to a built 700R4 automatic transmission w/ external cooler & thermostat, linked to an asphalt shredding Currie 9” posi-traction rear end w/ 3.73 gears. 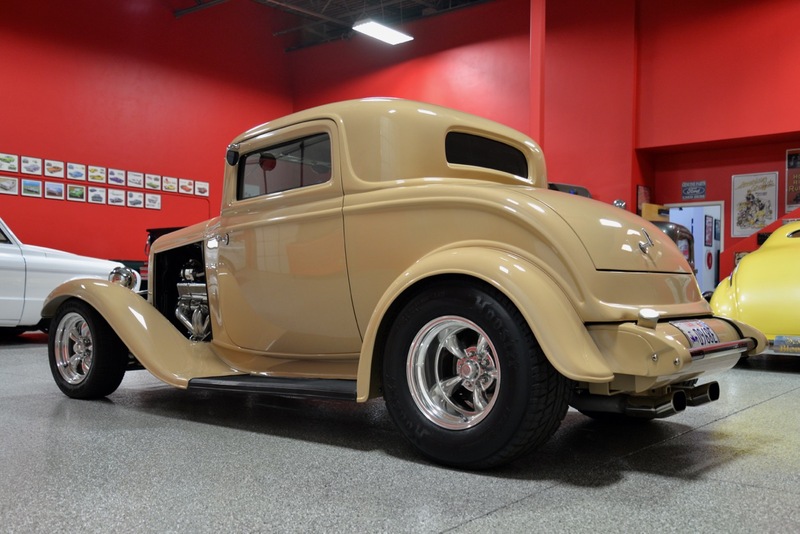 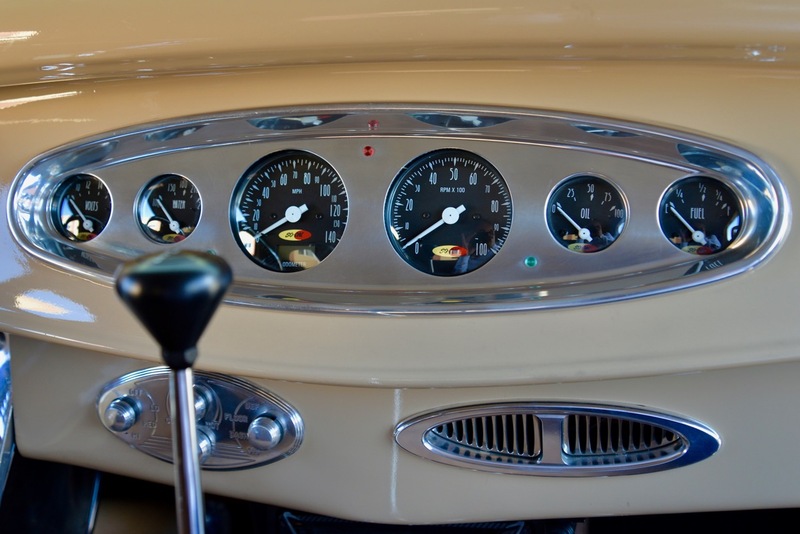 This Coupe fires up instantly, settling into a nice smooth idle, and she runs & drives beautifully in every way! 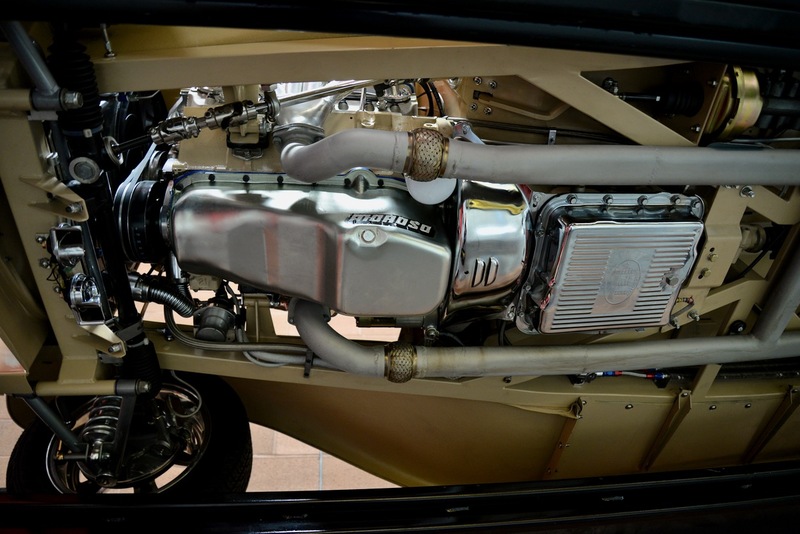 She has LOADS of power & torque and is an absolute BLAST to drive! 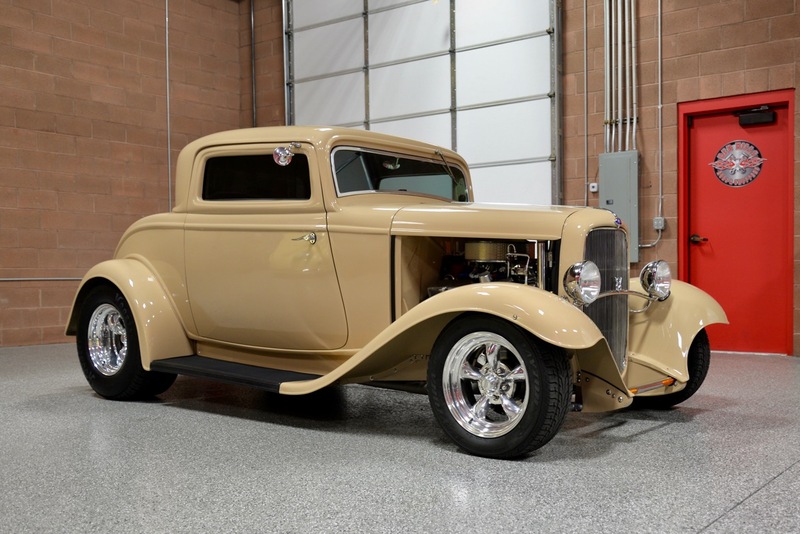 Whether you are cruising around town or out on the freeway for a nice long haul, you will be amazed at how nicely this Hot Rod performs. 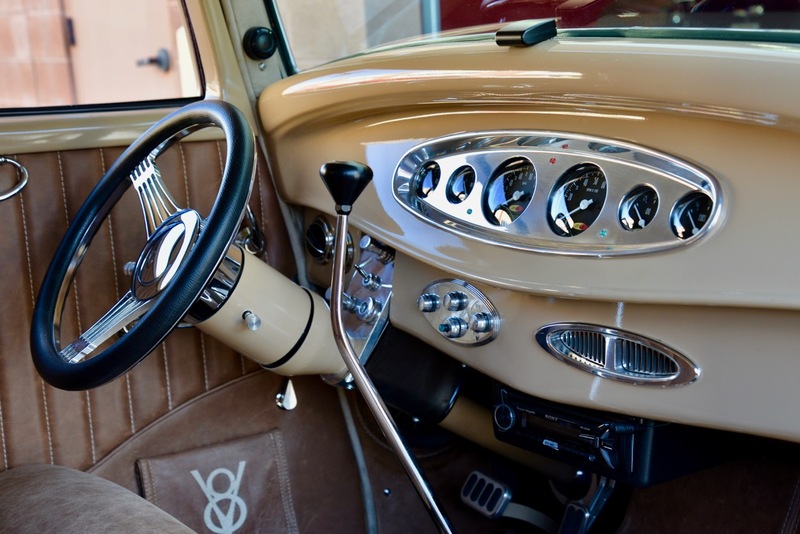 There are no rattles, weird noises or unwanted vibrations, and she simply feels as tight as a glove. 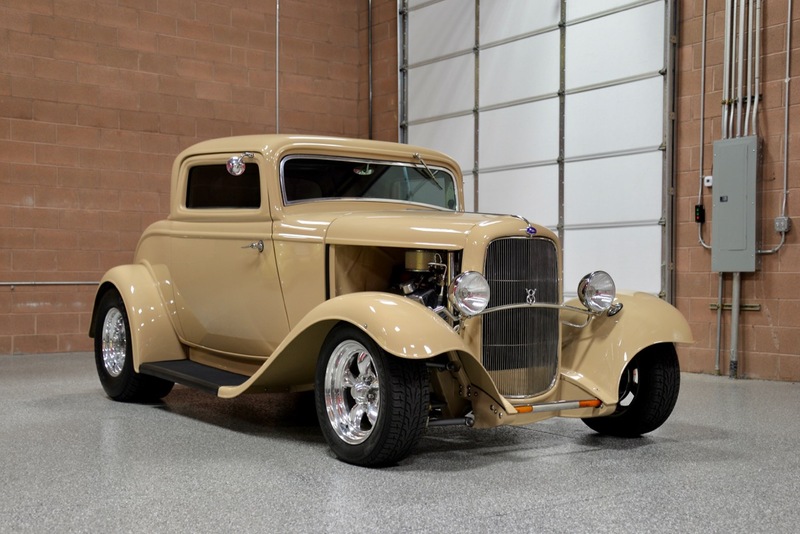 She is titled as a 1932 Ford Coupe so insurance & registration is very simple. 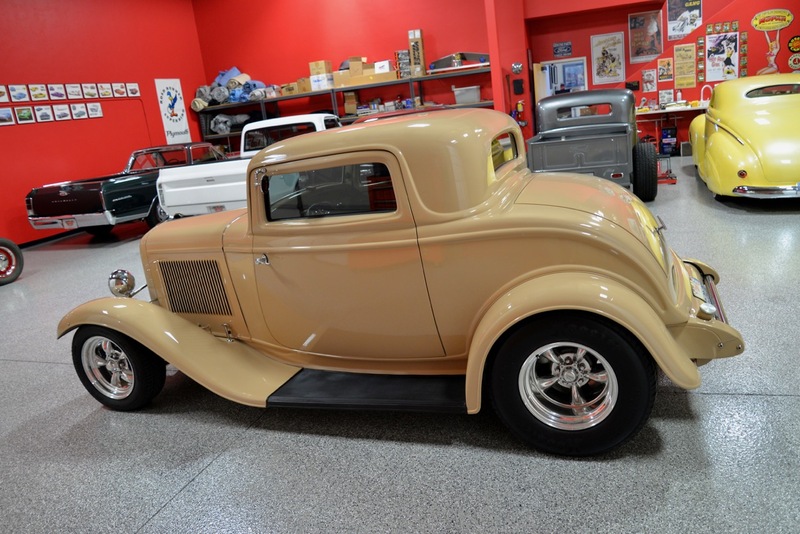 A stack of build receipts/documents, car cover, and touch-up paint will all go to the new owner. 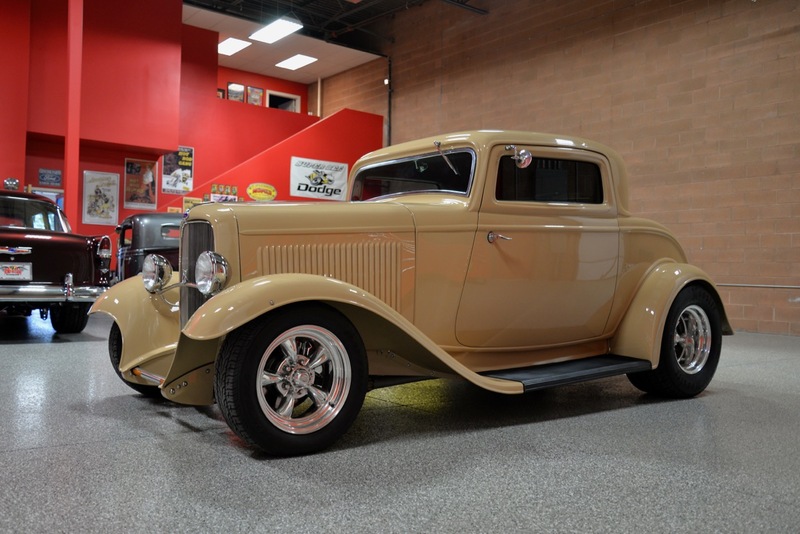 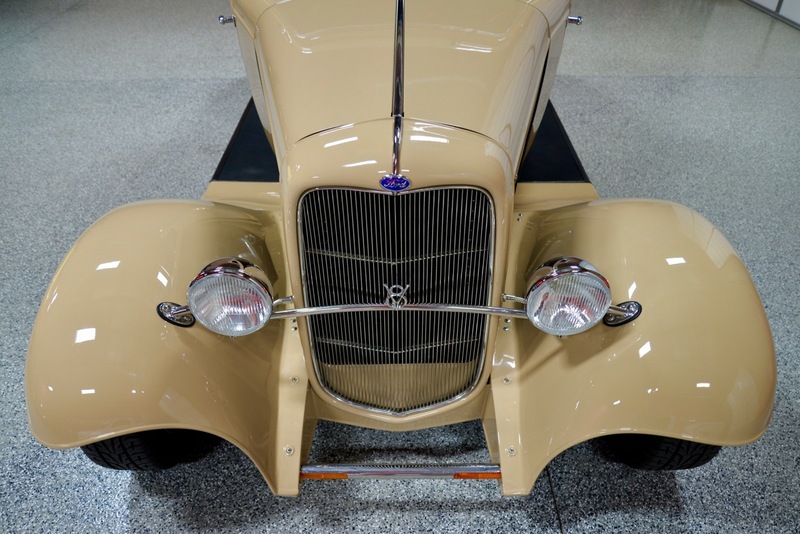 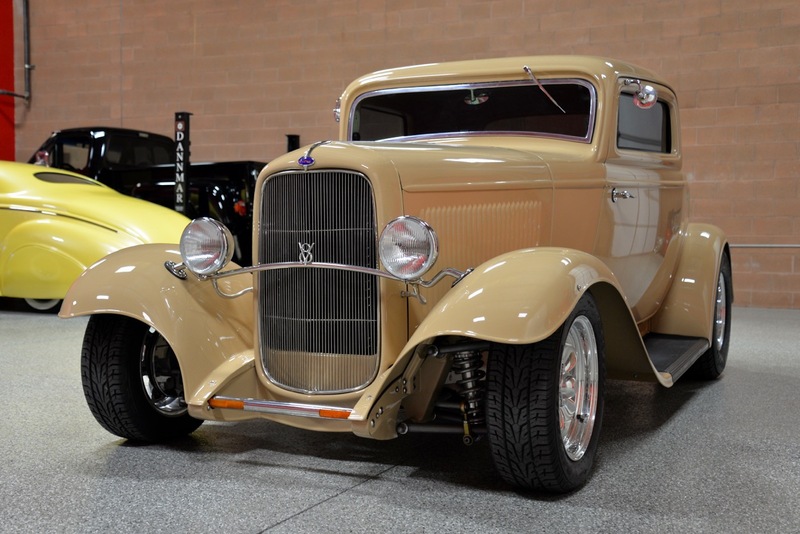 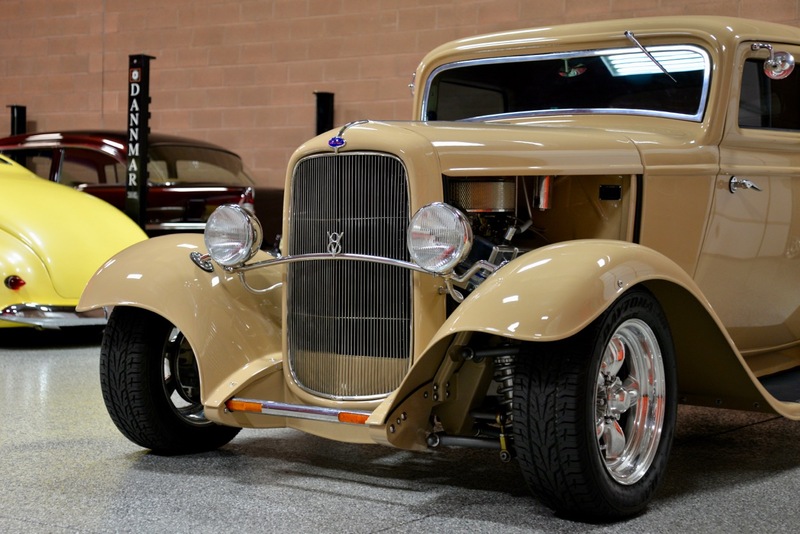 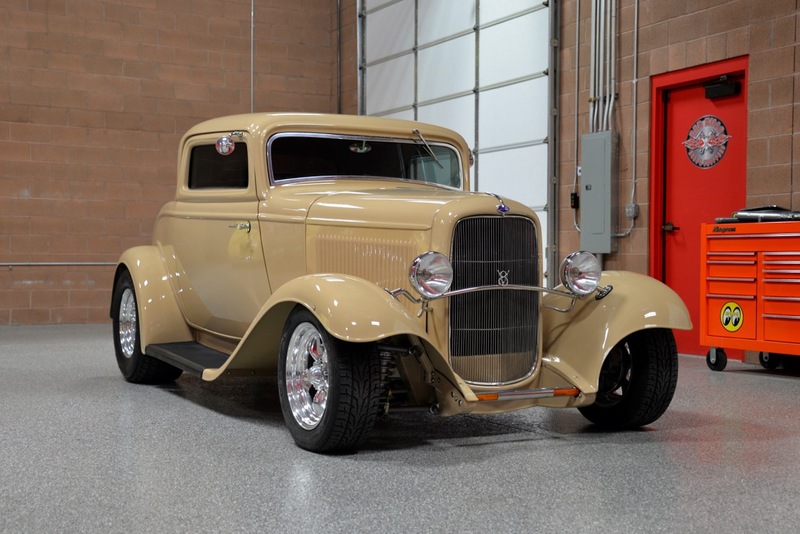 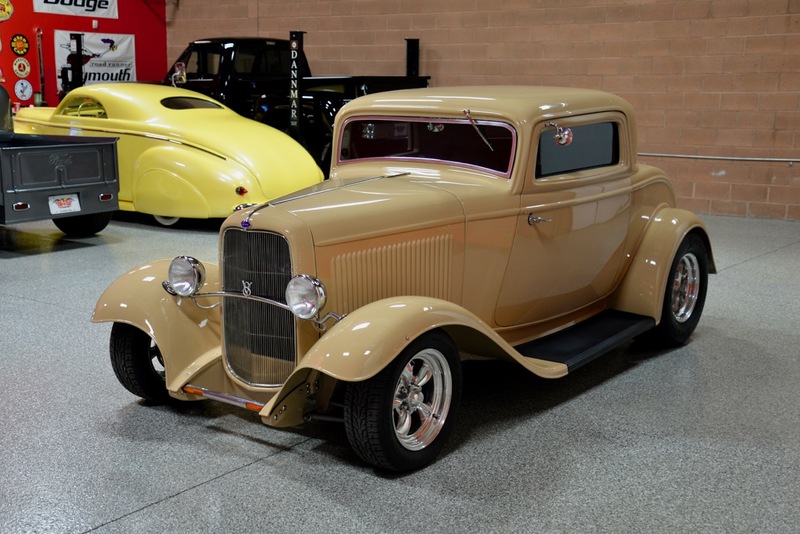 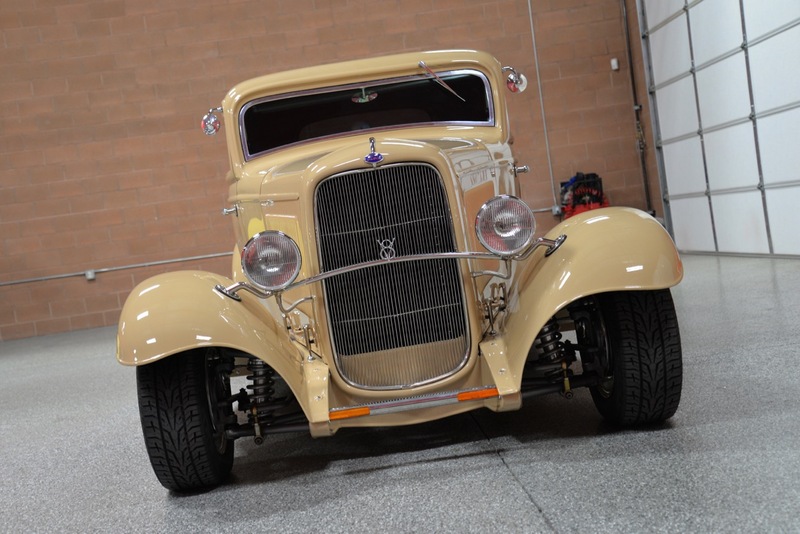 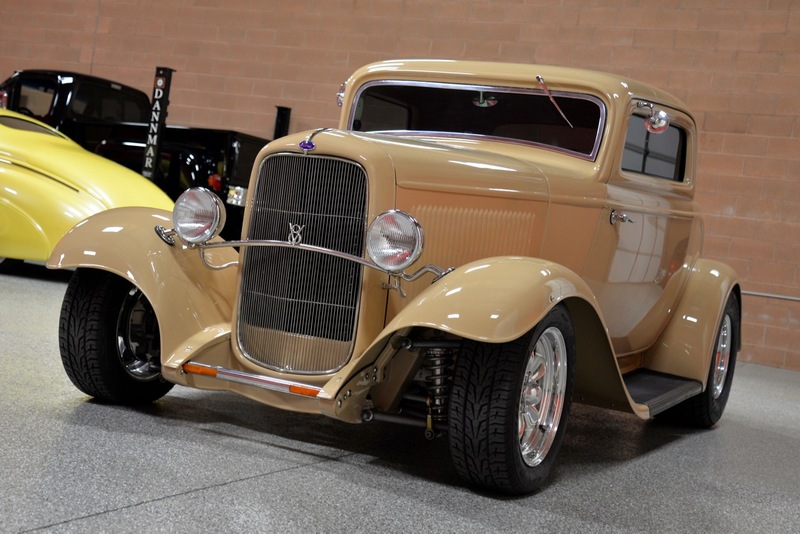 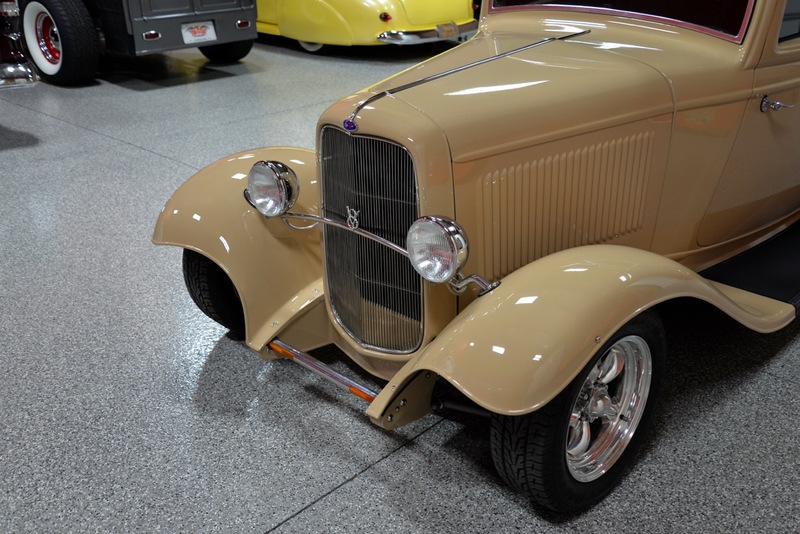 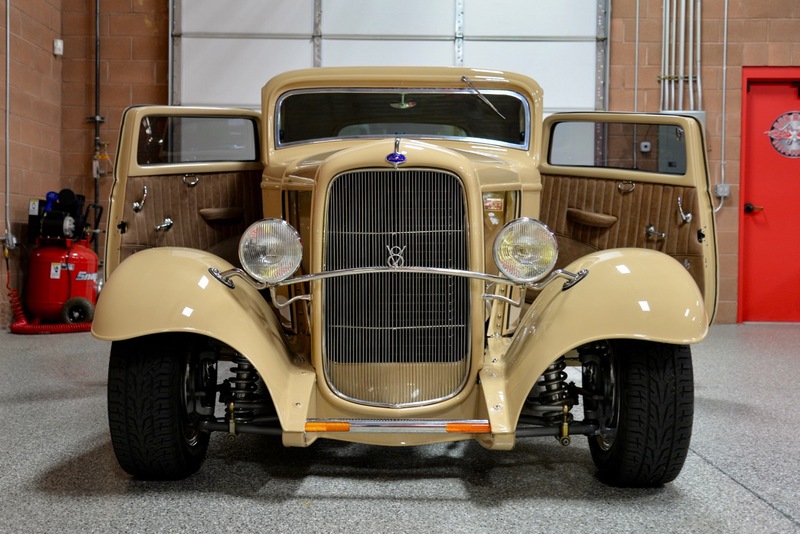 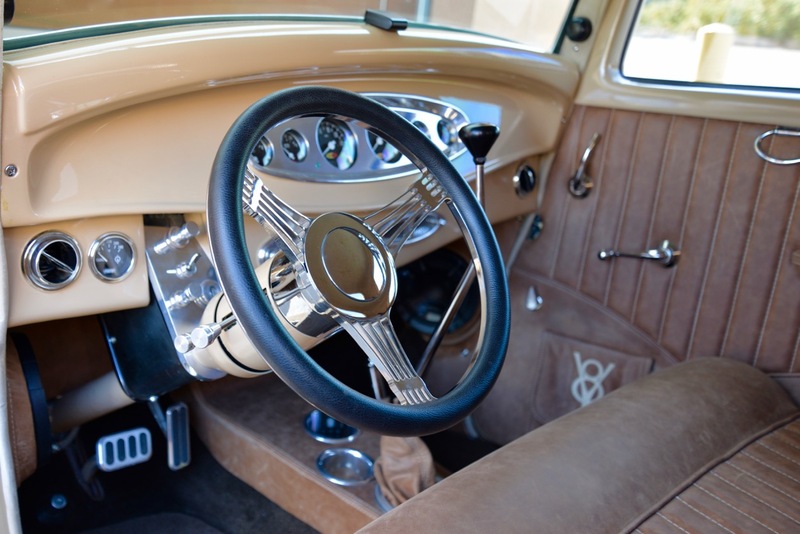 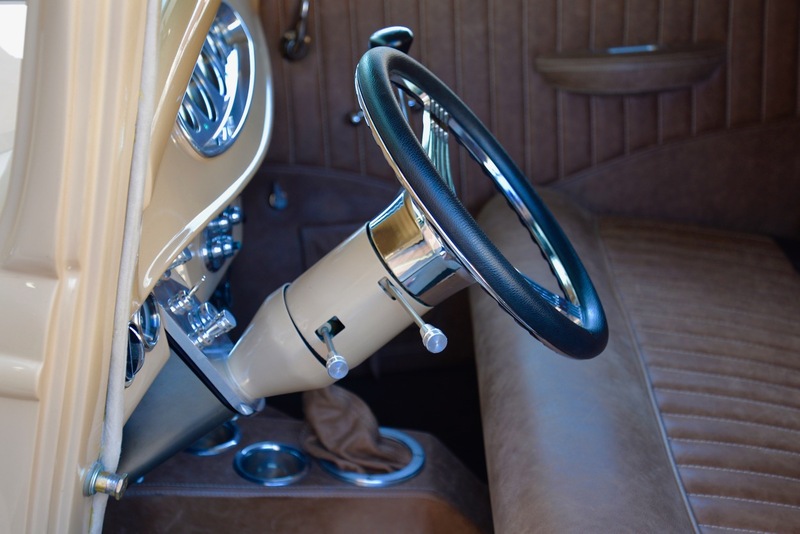 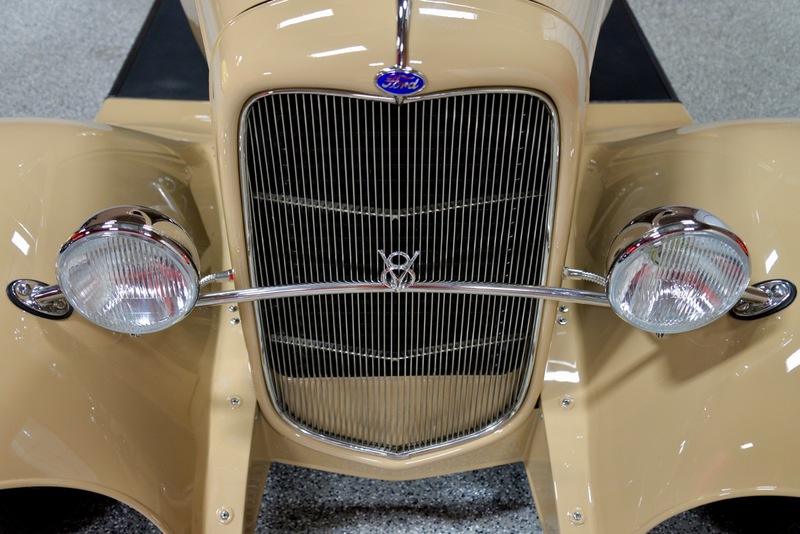 If you have been searching for a 1932 Ford Coupe that will take home ‘First Place’ trophies at car shows & events, or simply a Hot Rod that you can drive & enjoy anywhere @ any time without worrying about reliability, this is your car!